This is my first attempt at a ride tale so bear with me. 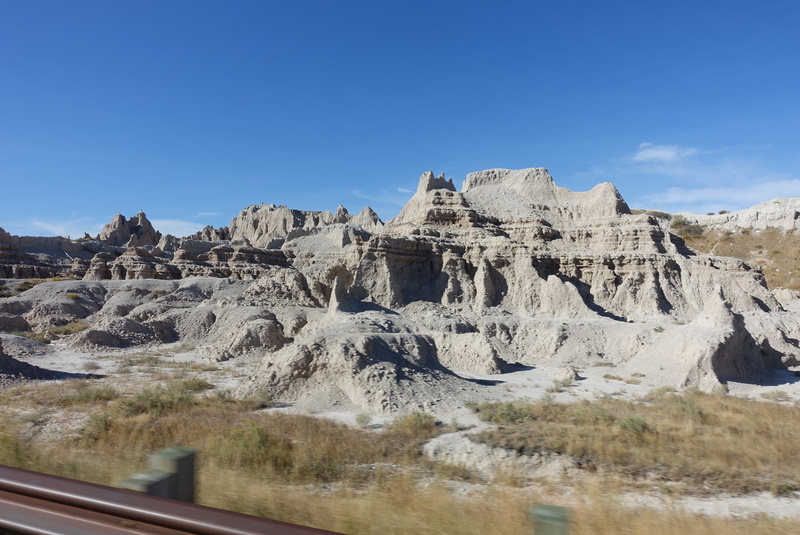 My wife and I on our LT are on a roughly month long tour of the US, primarily the west since we live in PA and see the east and south fairly often. My sister and brother-in-law are joining us for the first week and then have to head back to their jobs. Being retired is nice. A fairly uneventful day. Left in cool temps of 40-42 for the first couple hours. Warmed to low 60s as we crossed the Peace Bridge. Somewhat busy at the border given the holiday travelers, but we got through in less than 30 minutes. A fairly boring ride across Ontario to Sarnia where we spent the night. The roads here are in fantastic shape, but many long boring straight stretches that my LT really hates. A few more days of this ahead though! We had planned to take the SS Badger across Lake Michigan, but saw the note about bringing your own tie downs. Who has room for those on a 30 day trip? Called to see if there was any alternative and they said no. So ... we are now routing down through Chicago. Oh well, I can't believe a ferry that doesn't provide tie downs. This is a first and we have ridden many ferries in the US, Canada and Europe! meese, bmwcoolk1200 and guitarjim like this. On my ferry crossings (only a few) I've found that ONE ratcheting type is more than adequate to keep the LT in place. I put it on the side stand and loop the strap over the frame under the driver's seat. You may need to use a jacket or similar as a pad to keep from scuffing the tupperware. I also put a velcro strap around the front brake lever as a little extra security. A while back there was a product called the Strong Back - which was very heavy duty frame that straddled the frame and utilized 4 tie downs. Bulletproof but awkward to carry on tour. Good luck on the ride and remember if you get into Arizona and Southern California it is still going to be really hot after noon in the deserts. Good luck and safe riding. I'm jealous. I retired in 2014 and wife is younger and wants to retire next year. 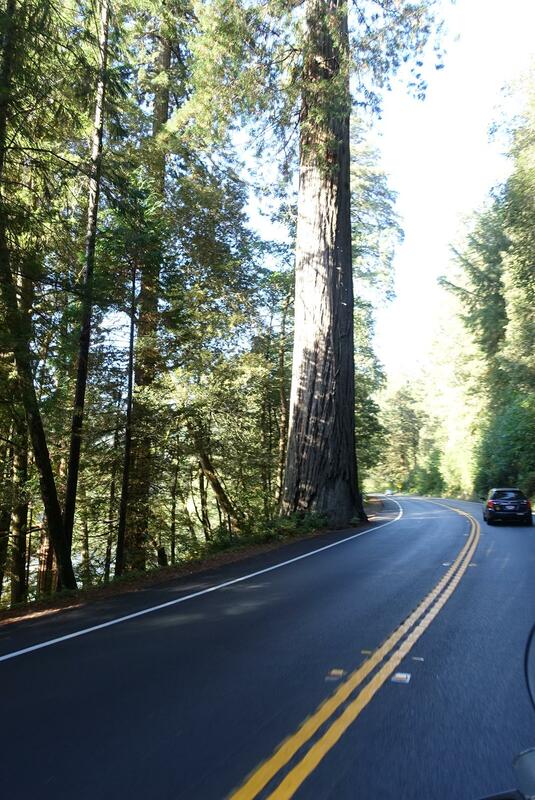 Always dreamed of a bike trip to San Fran then up coast hwy. No schedule just take your time and go where and when you please. Now the Doc suprised me and says I need a knee replacement. The point is you guys are doing it now while you can, so good for you. The one quote that haunts me is, "there's a difference between dreaming and doing. The dreamers just sit around and moon about how wonderful it would be if only things were different. The years roll by and by, they grow old and they forget everything even their dreams." I hope I'm not just a dreamer! Have a great trip and I will look forward to your reports. I've used ferries on lake Champlain, Nova Scotia, and Scotland and they always provide adequate tie downs. As you say, not much is required anyway. The irony is that we brought clothes more geared to Death Valley, but our first day started out at 40 degrees in PA! The day began with rain in Sarnia, Ontario, but ended in time for an 8:30 departure. No line at US customs so we were back in the states by 9:00. 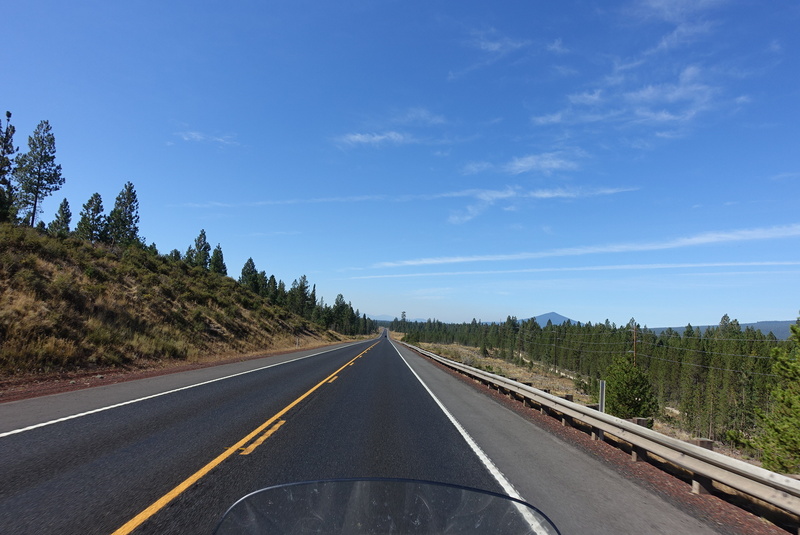 Weather was cool, but nice and we cruised along at, um, 70-something and made good time. The only downside was 32 mpg. This is the lowest I've recorded on my LT, but then I have never averaged 75 mph for two full tanks of had! We could not take the SS Badger ferry across Lake Michigan as they require you to provide your own ratchet straps; like we have room to carry those. This is the first ferry we have encountered with such a dumb policy. So, we rerouted through Chicago, which was a mess as usual, and made it to Madison, Wisconsin for the night. 495 miles today was very good considering the traffic in Chicago and the Illinois toll booths every 5 miles. $19 in tolls just to loop around Lake Michigan and I think we stopped at least ten times. I have decided Illinois has no redeeming value and I can see why it is bankrupt. And the nicest sight all day was Chicago in the rear view mirrors! My advice is to avoid Illinois if at all possible. ScottinIL and guitarjim like this. Glad you made it back into the states Matt. Keep the daily reports coming. Don't these ride tails usually contain some pictures along with the tail of the days events. Give the old girl, ( not the bike) or younger girl as the case may be a camera ( with wrist strap) and let her snap away as you ride and maybe you will get a few good shots of the days travel worth posting till you get to destinations of photo-graphical interest. Anything is fair game. Those will come in due time. 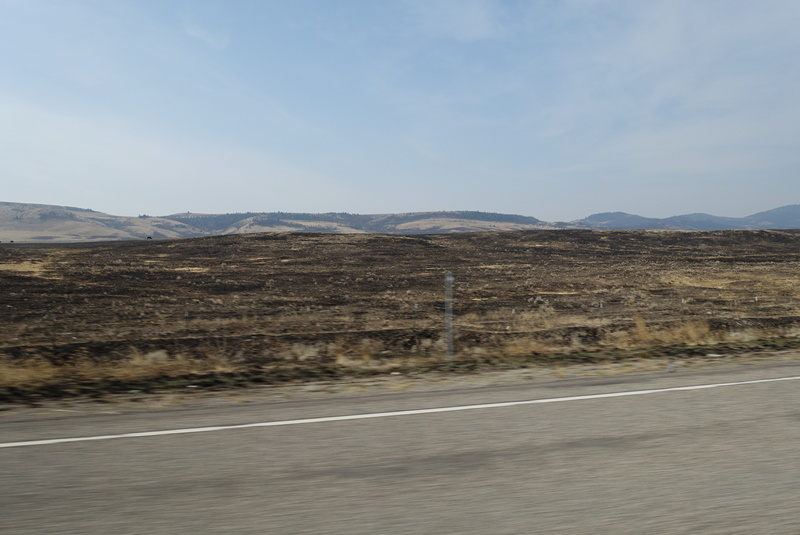 Nothing to see on interstates in flat country. Once we hit SD, pics will be included. My wife took more than 1,000 pictures on each of our trips to the Alps, Nova Scotia and Newfoundland, and the U.K. But they all had things worth photographing! I've worked hard to come up with one set of gear that will cover me over a wide range of weather conditions. 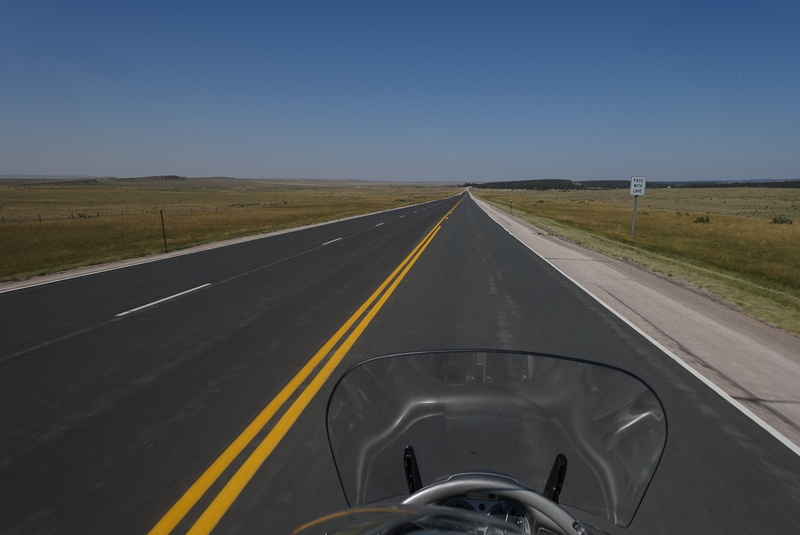 One particularly memorable ride was 112°F crossing Vegas at noon, then 32°F crossing Wyoming at midnight. Nothing like an 80°F temp swing in 12 hours to test out your gear. Looking forward to seeing the pics as you make your way further west. We had another cool ride today with temps in the upper 60s, but very nice riding overall other than strong and gusty winds. 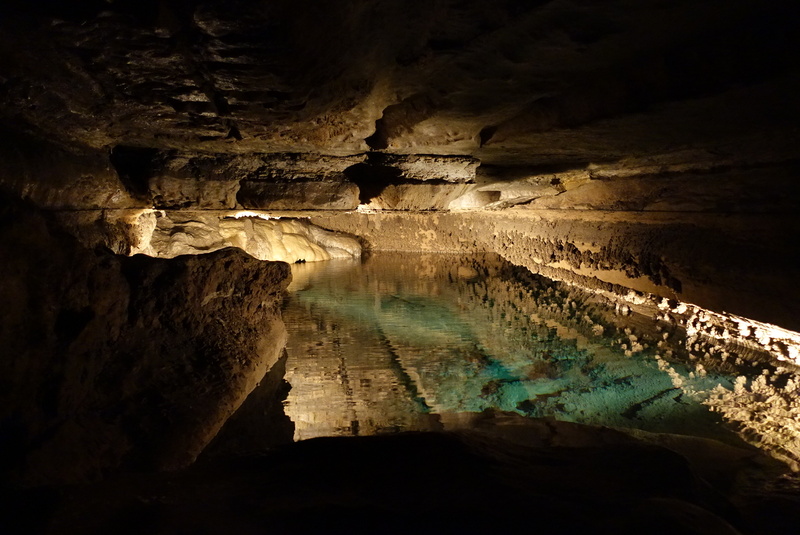 We had a nice sightseeing stop at the Mystery Cave. 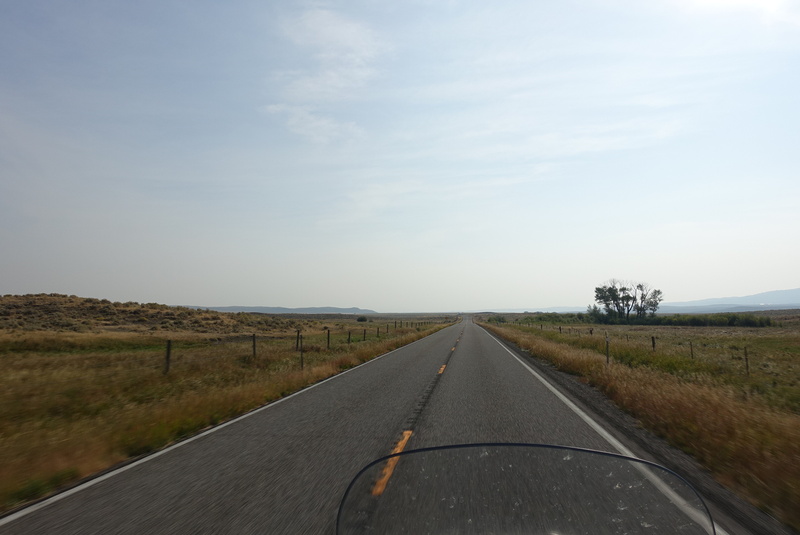 Otherwise, a fairly boring ride on flat and straight Midwest roads. 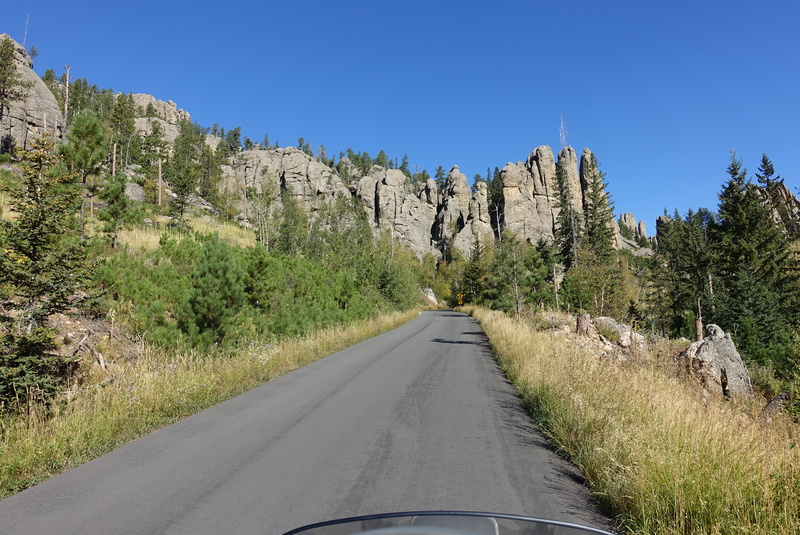 Just enduring the ride to the real treats starting in South Dakota. Unfortunately, this brain dead forum software will only allow my iPad to upload one picture at a time. I can do multiple from my computer, but when I select multiple from the iPad, only one gets attached. mtrevelino, JNW003, bmwcoolk1200 and 1 others like this. I think an 80 degree range may be mission impossible. I have come close with mess gear and Frogg Toggs rain suit. Frogg Toggs are mediocre rain suits, but they block wind quite well trapping air in the mesh gear. I ride this combination for up to two hours in temps just above freezing crossing alpine passes and was quite comfortable. And I have ridden for several hours in temps in the 40s. Shed the rain suits and I have ridden all day in the mesh hear in temps of 100-105. This is a lightweight combination that minimizes the amount of gear needed since the rain suits do double duty. Pictures may be a nuisance with the one per message limitation this site seems to impose on the iPad. And you can't post an attachment with an empty message. It would be great if you could give us a heads up as to your general route that you are planning to take. I did a 25 day/25 state tour in '14 on my LT, but was solo (I ride, she flies), so I could take much more gear with me. Wearing an Aerostich Roadcrafter suit enables me to leave any rain suits and heavier clothing - a sweatshirt worked out well in temps ranging from mid-50's to about 28 degrees, and I also wore a Veskimo cooling vest and mounted the cooler on a BMR rack over the pillion seat that is great for temps ranging from 85 to whatever. I have been comfortable riding for hours in triple digits. BTW - did you start out with new shoes? Ride safe and have a great scenic time! 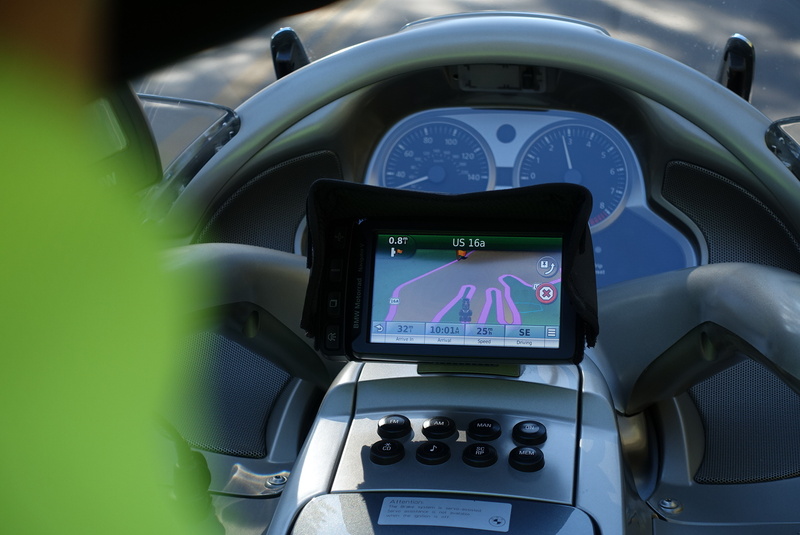 It would be great if you could give us a heads up as to your general route that you are planning to take. I did a 25 day/25 state tour in '14 on my LT, but was solo (I ride, she flies), so I could take much more gear with me. Wearing an Aerostich Roadcrafter suit enables me to leave any rain suits and heavier clothing - a sweatshirt worked out well in temps ranging from mid-50's to abiout 28 degrees, and I also wore a Veskimo cooling vest and mounted the cooler on a BMR rack over the pillion seat that is great for temps ranging from 85 to whatever. I have been comfortable riding for hours in triple digits. BTW - did you start out with new shoes? Ride safe and have a great scenic time! Route is quite fluid changing each day. 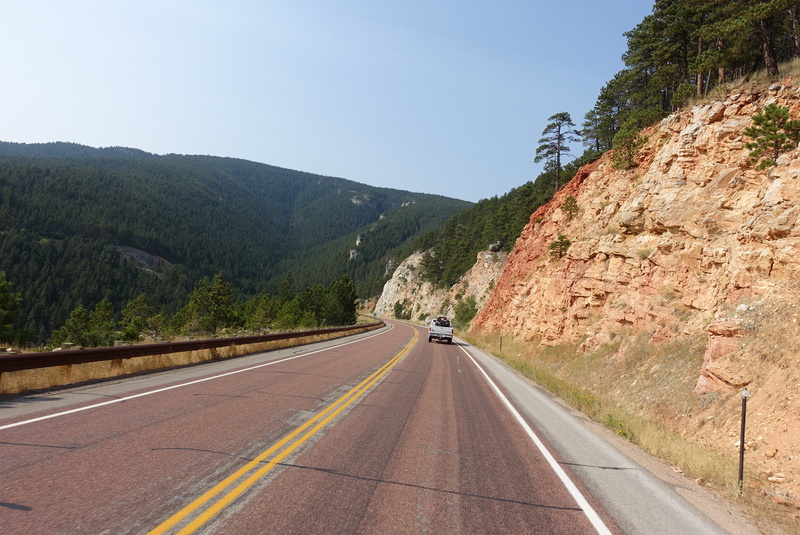 Mainly want to hit Yellowstone, Glacier, crater lake, Sequoia, Death Valley, Grand Canyon, stand on the corner in Winslow, AZ, planned to visit coastal Texas, Port Aransas, but not now, Barber Motorsports museum, Kitty Hawk, Chincoteague Island and those are the big things. Will hit others as we find them such as the Pioneer Auto museum later today in Murdo, SD. No, my boots are a couple years old. Oh, you meant the LT. Yes, new tires of the highest mileage combination I know of: BT020 rear and ME880 front. JNW003 and bmwcoolk1200 like this. We had another cool ride today with temps in the 50s in the morning rising into 60s by afternoon. 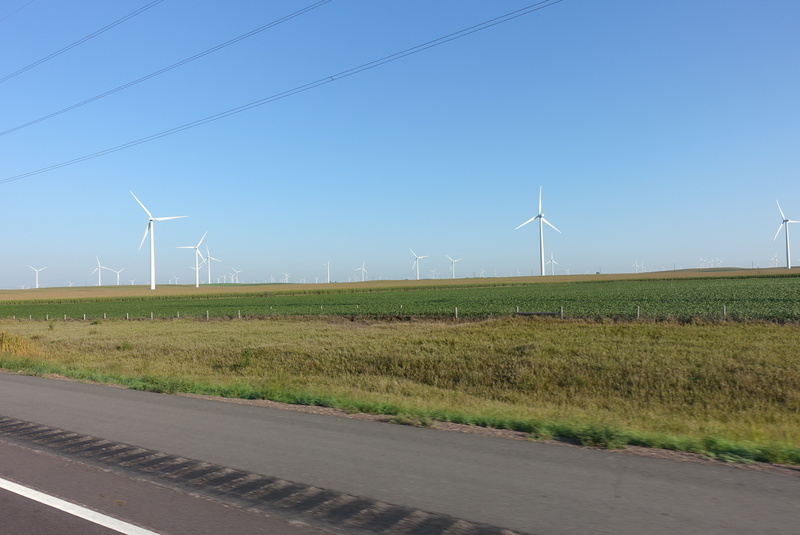 Southern Minnesota is as flat and boring as Kansas, but has lots of wind farms. Other than that it was unremarkable. A nice riding day, but strong and gusty winds again quartering from the northwest made it unusually tiring. 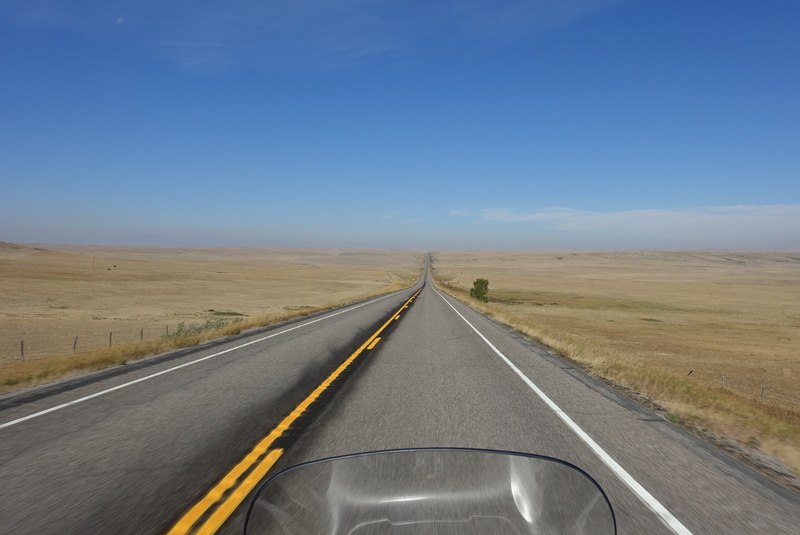 South Dakota has an 80 mph speed limit which combined with the 20G35 winds gave us air speeds close to 100 mph. The result was a range of barely 200 miles and an all-time low mpg of 29! That isn't a typo. we had a nice sightseeing visit at the Pioneer Auto museum. Rather "tourist trappy" for my taste, but a nice break from riding. Appreciate the trip post. Its enjoyable reading these. Its the first thing I do now....read your reports. I read your other thoughts on the LT making it. I have the same opinions after virtually my whole life on countless jap bikes. I have only been stranded once (1979 cbx, fuel petcock failure filled #1 cylinder, bent rod with hydro lock) in 42 years of riding them. Have fun and ride carefully!!! It has been mundane thus far. 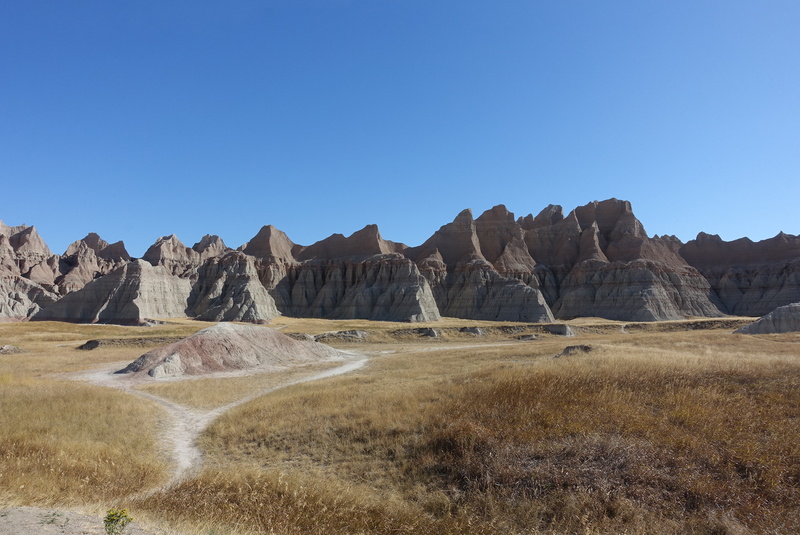 That should change tomorrow as we ride the Badlands. I just wish I wasn't limited to attaching only one picture. If anyone knows a way to get multiple pictures to post from an iPad, please let me know. I tried using my Ipad to upload pictures on a vacation and couldn't even get one to upload but it is an Ipad2 and not the latest so I will be of no help there. Keep posting and make several posts one at a time if you have to. We will understand. If anyone knows a way to get multiple pictures to post from an iPad, please let me know. I just uploaded three pictures in the test forum with no problems, except the first picture came in upside down. The pictures were taken with a iPhone. I am thinking that maybe the file size is too large, but again it worked for me. Mine is a 5 year old mini which can't be upgraded past iOS 9. However, this function used to work so something on the site changed. I may try my iPhone as it runs iOS 10. One picture per post will be tedious to do and to read. 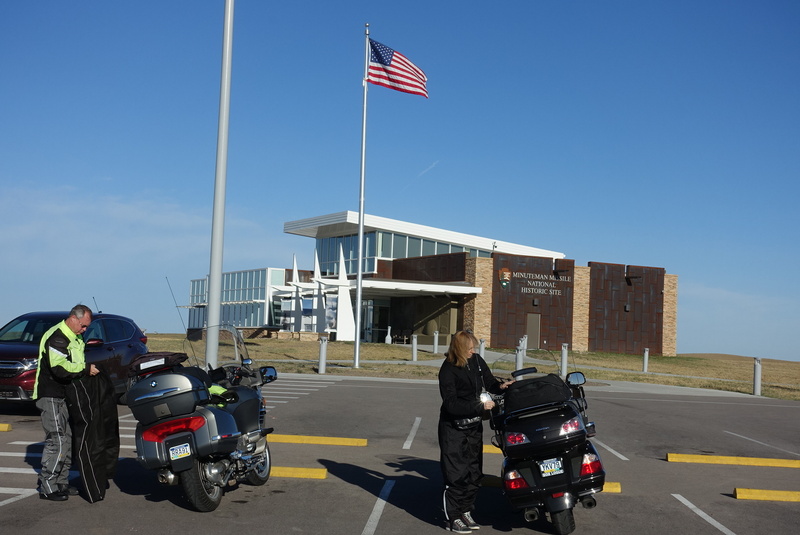 A leisurely riding day starting with a visit to the Minuteman Missile National Historic site. A very interesting bit of history that many of us lived through. 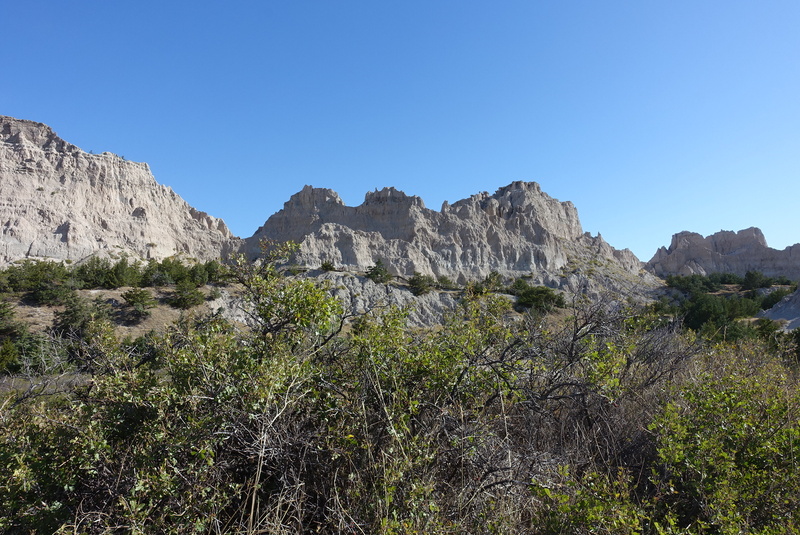 We then rode the Badlands loop in excellent weather with the sun still low in the sky. My wife took 69 pictures today so picking a few to upload will be an interesting challenge to say the least. We then visited some cousins we rarely see and had a nice supper with them in Rapid City. 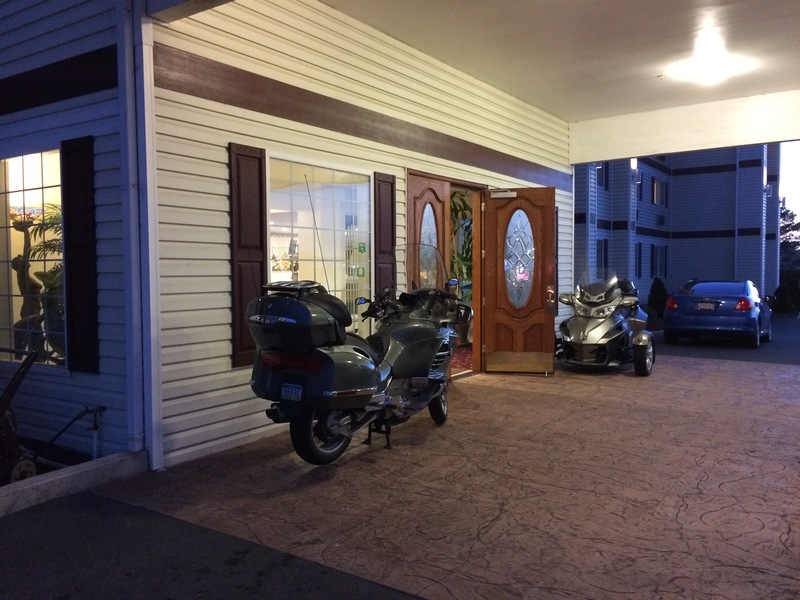 Got back to the motel after dark, but could not pass up the bike wash facility provided by the owner. 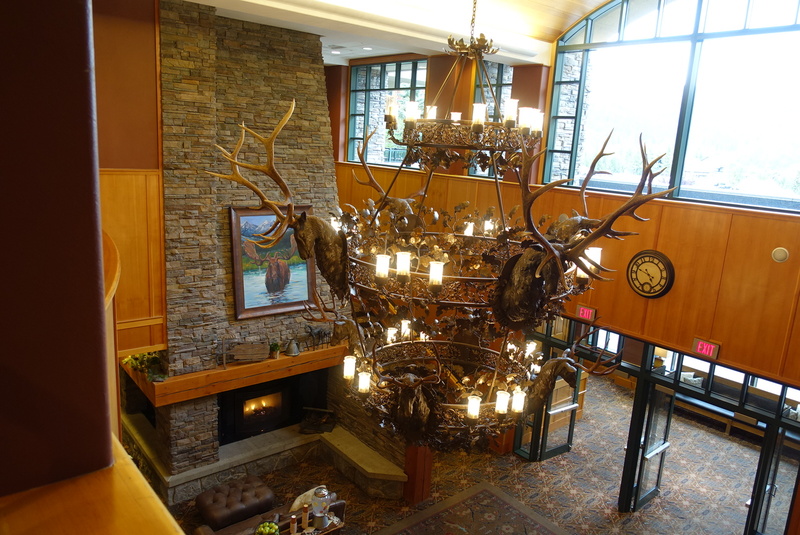 If you are staying in Rapid City, at least consider the Big Sky Lodge. 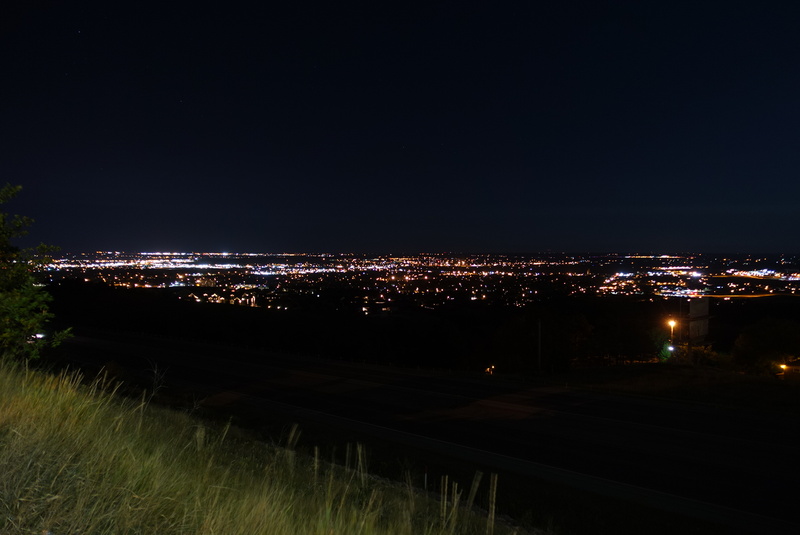 Very motorcycle friendly and a great view over Rapid City. bmwcoolk1200, guitarjim and Chad Albrecht like this. We used to refer to Rapid City as Speed City when I was in the USAF. If you haven't already, pick up a Sturgis BMW t-shirt as a memento. I stopped by a Yamaha dealer a couple of weeks ago and the salesman noticed mine and said, "Most people have a Sturgis Harley shirt". I had a laugh at that....Nice pictures and glad to see you've figured out how to post more than one picture at a time now - keep them coming! Spectacular weather for today's riding and sightseeing. 68 degrees for our ride to breakfast to have our first caramel roll. Very tasty! The day soon warmed into the 80s and was getting uncomfortably warm for this northerner when it hit 86 in Wyoming. 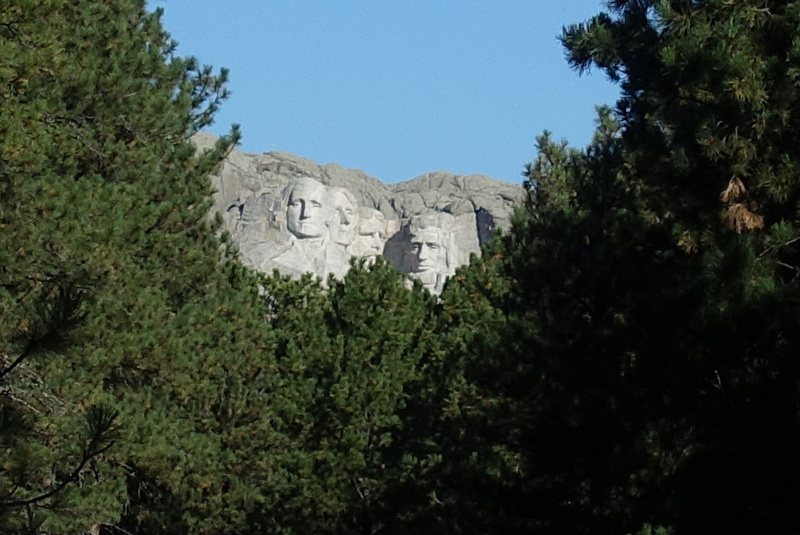 Since we had been to Mt Rushmore before, we passed on that. My sister and brother-in-law had not been so they made that their first stop. 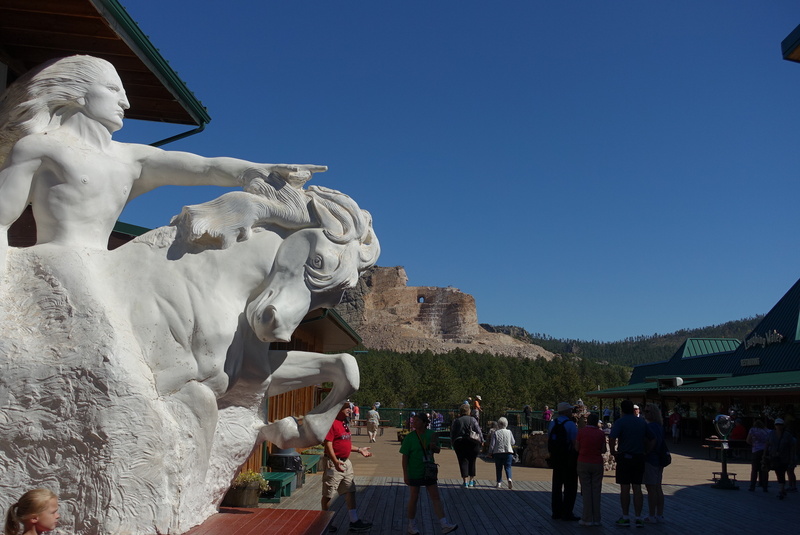 While they were viewing the dead presidents, we rode to Crazy a Horse, our meeting point, on the scenic routes of the Iron Mountain highway and the Needles highway. Both were great riding. 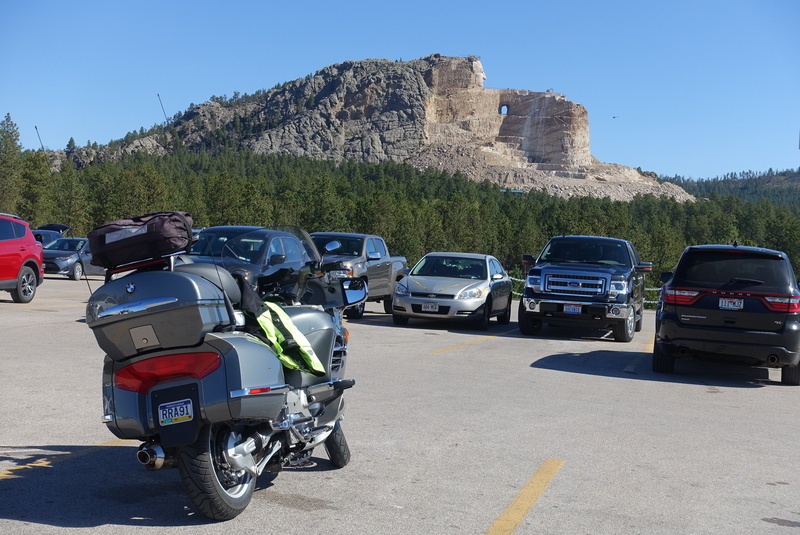 After Crazy Horse, we parted company and the Gold Wing headed south toward Denver and we headed northwest to our next stop at the Cody Firearms Museum. 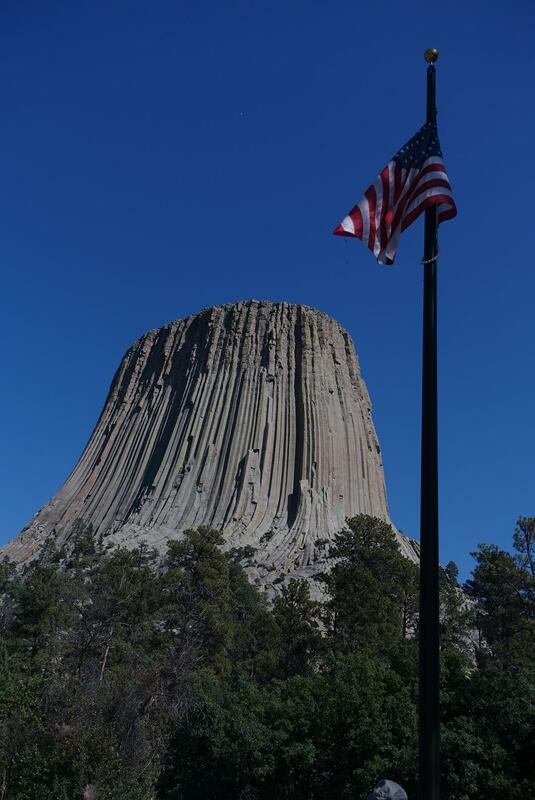 However, seeing the sign for Devils Tower, we called an audible over lunch and made that our next stop. Great decision as it is a spectacular sight. 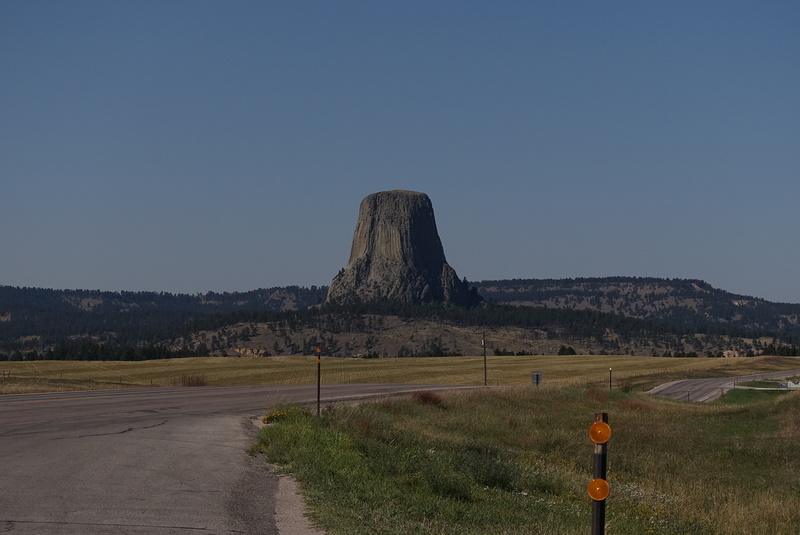 I had hoped to get within a hundred miles of Cody today, but the detour to Devils tower left Gillette as the stopping point for tonight. This worked out well as we got a great deal at the Arbuckle Lodge and are taking advantage of its free guest laundry. I found that the site will accept multiple pictures from my iPhone so each post is now a two-step operation: text from the iPad and edit for pictures from the iPhone. So, if you see text with no pics, check back again as it takes a while to switch devices and edit the post to attach the pictures. mtrevelino, JNW003, ScottinIL and 3 others like this. Last edited by Voyager; Sep 7th, 2017 at 11:10 pm. Thanks....you now have my wife interested in finally going on a bike. 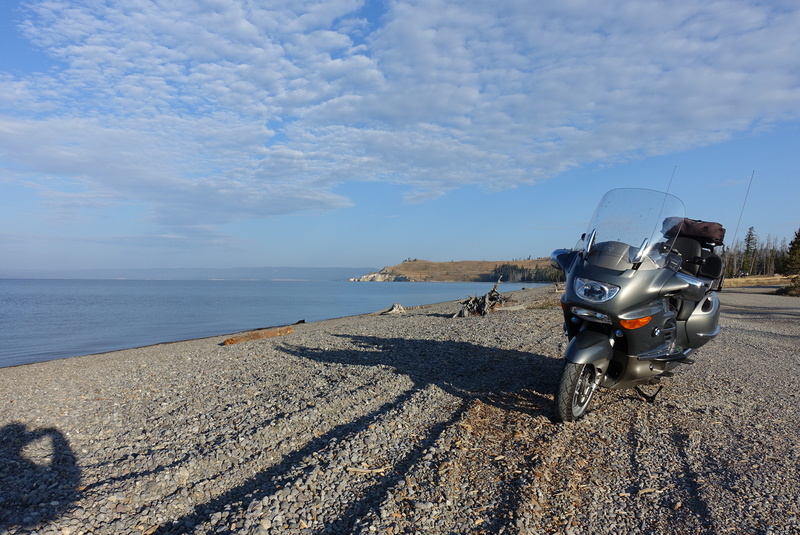 Spectacular pics and ride report. Started out nicely at 63 degrees and then gradually warmed to 68 until a few miles from Buffalo where it dropped to 58 in just a couple miles. We toughed it out in our mesh gear until Sheridan where it warmed to 70 as we stopped for coffee. 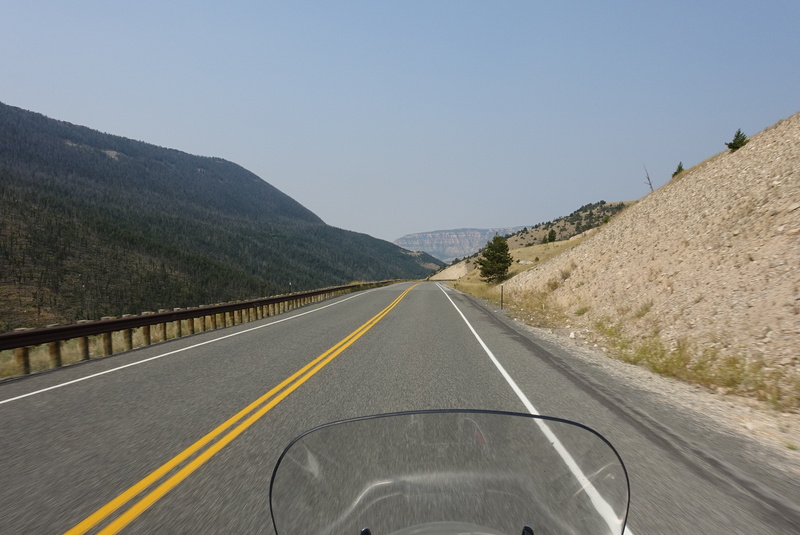 We rode to Greybull on route 14 through the Big Horn National Forest. This is a fantastic ride even with the road construction. We reached nearly 9,000' according to the GPS. A nice lunch stop at Lisa's and then rode on to Cody. It is a good thing we booked a room in Cody during our lunch stop. We got the last queen room at the Super 8 which is one of only four motels that weren't sold out! 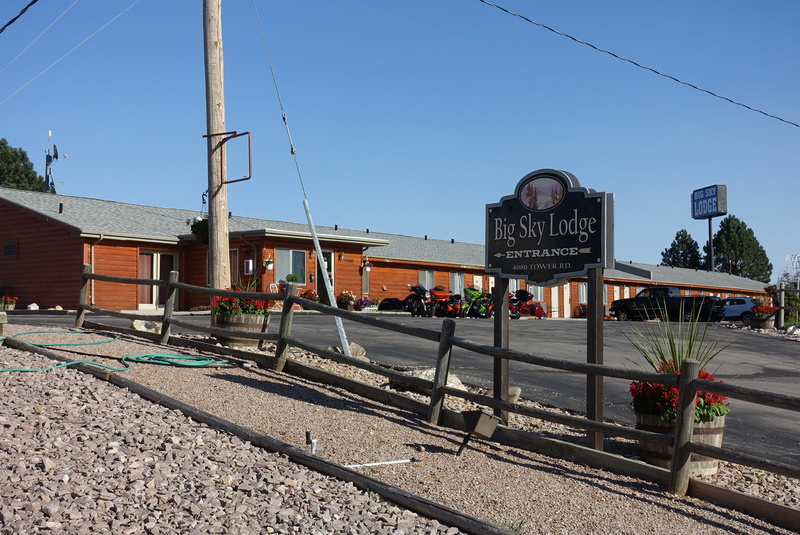 And we paid twice as much ($160 vs. $81) for this motel as for last night's hotel in Gillette. And the Arbuckle was twice the hotel for half the money. This afternoon while walking through part of Cody on our way to and from the Buffalo Bill Center of the West museum complex, all we saw were no vacancy signs. 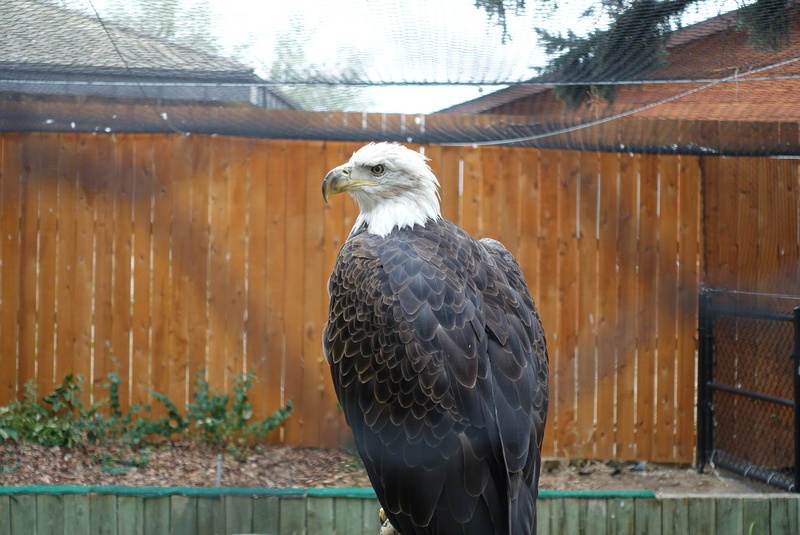 I suspect Yellowstone will be a zoo tomorrow. It seems the tourists don't know that it is after Labor Day and they should stay home! Well, we can check the Yellowstone box and move on. Speaking of moving on, we decided to book a hotel for tomorrow night to ensure we had one. 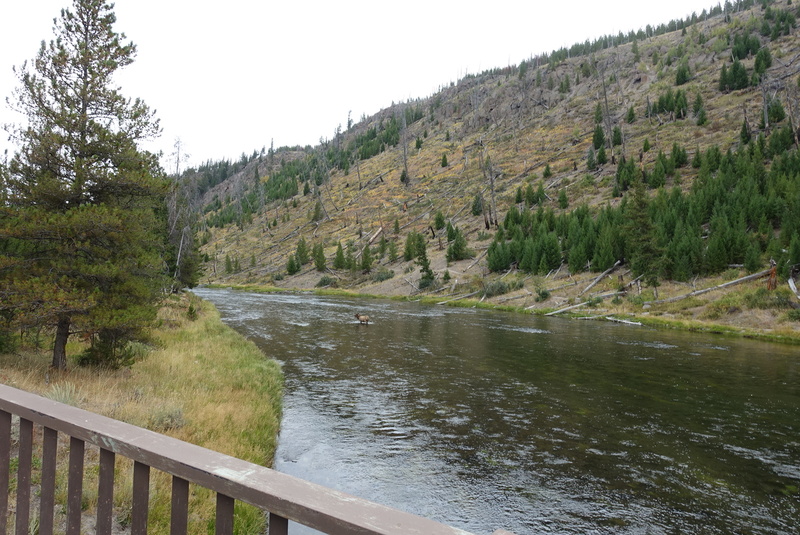 We spent two hours looking and calling and had to pay $200 at a ski resort hotel to avoid having to ride 300 miles after our visit to Yellowstone tomorrow. Just another reminder why I generally avoid popular tourist venues. 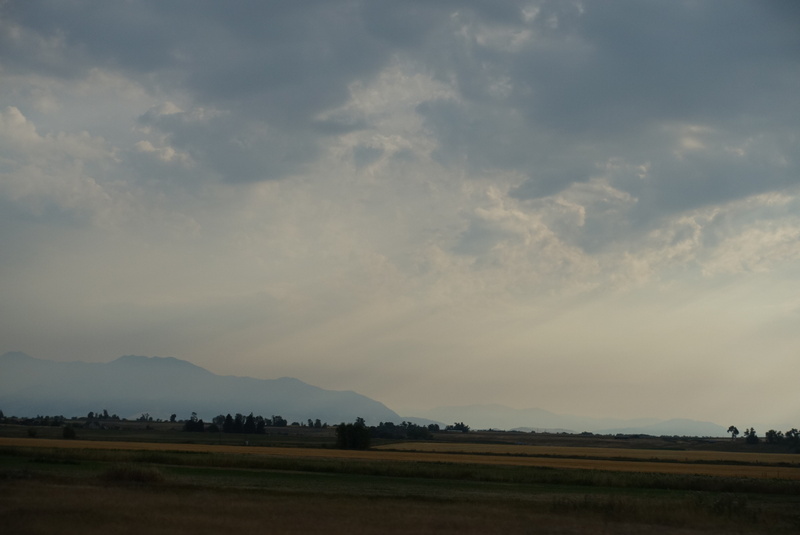 Also, we are now seeing lots of smoke from the Forest fires in Idaho and Montana making it hard to see the mountains and we can even faintly smell smoke. I suspect our pictures tomorrow will not be nearly as spectacular as they would be otherwise. 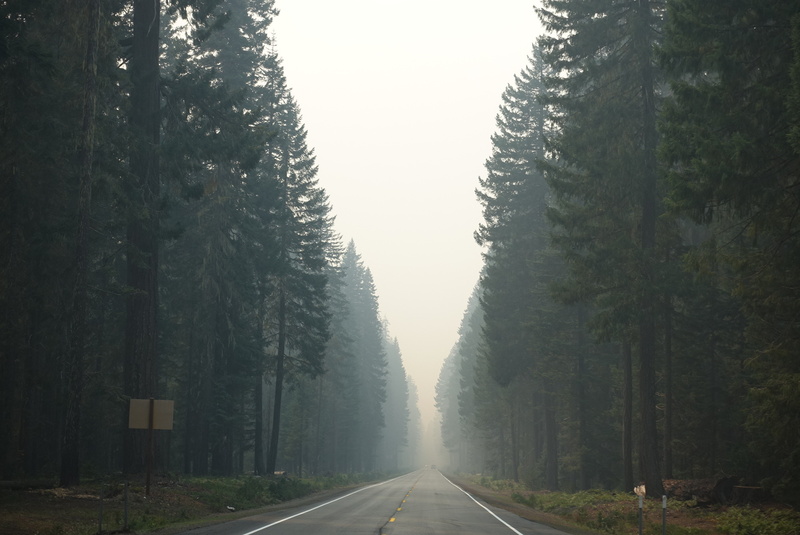 It reminds me of my visit to China where a haze hung over every city. 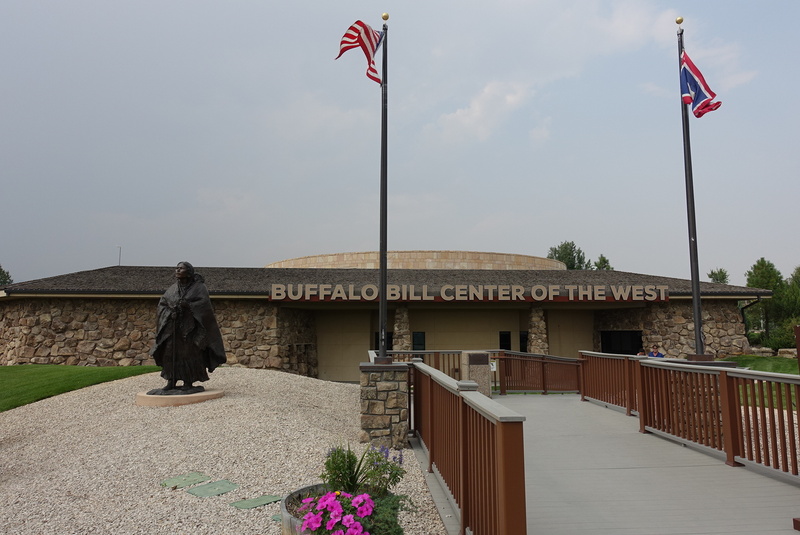 On the bright side, our visit to the Center of the West was fantastic. 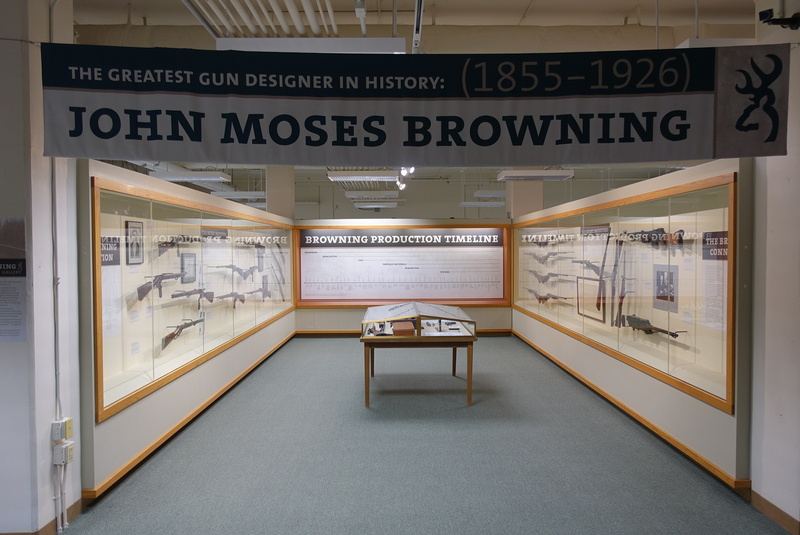 What an outstanding set of museums and overall facility. 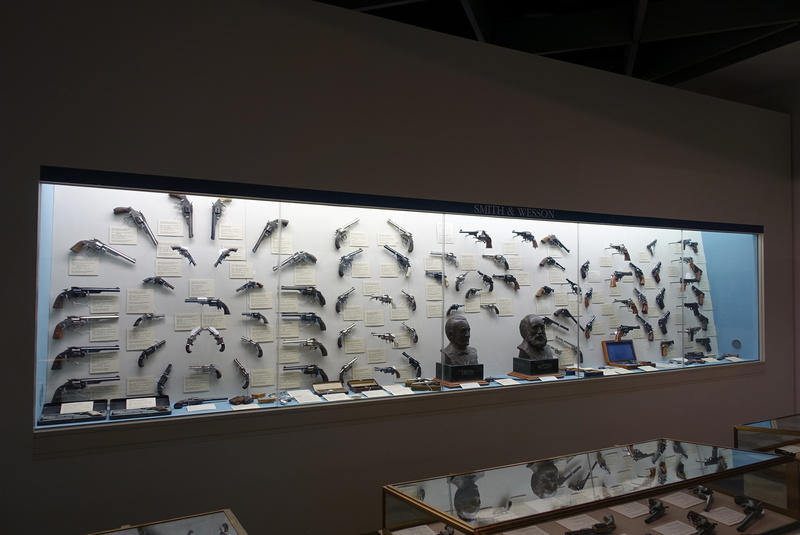 I mainly wanted to see the firearms museum, but we quickly perused the others. We stood and walked until our feet were sore and then only scratched the surface of what they have to offer. 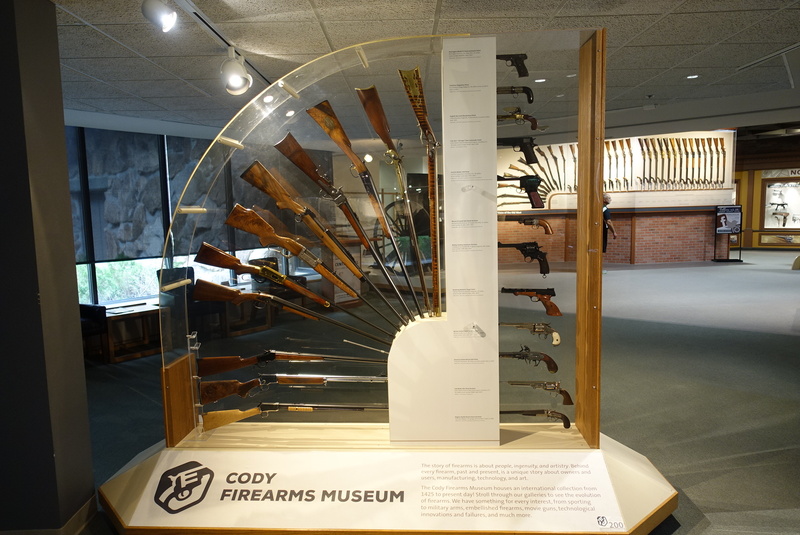 If you are in Cody, this is a must see place. As an aside, my LT rolled over 60,000 miles today. mtrevelino, bmwcoolk1200, guitarjim and 1 others like this. Last edited by Voyager; Sep 8th, 2017 at 9:13 pm. I hope you didn't book the Grand Targhee Resort as you will be in for a very rude surprise and a very long drive. 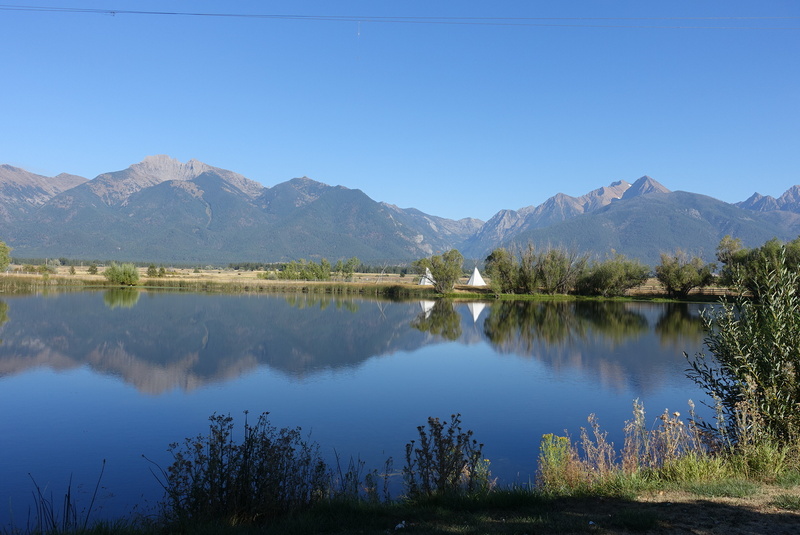 I almost booked this place this year but looked at the map and saw how it is located on the wrong side of the mountains for getting to/from Yellowstone. Those Cody hotels are very proud of what they have to offer. I thought the prices might be going down after Labor Day, I guess not. Although this is still Labor Day week. The prices must drop next week. Last year, we stayed in Cody in the middle of September and the prices were livable. This year, in August, the prices were ridiculous and finding availability was hard. You are in for some great days now. 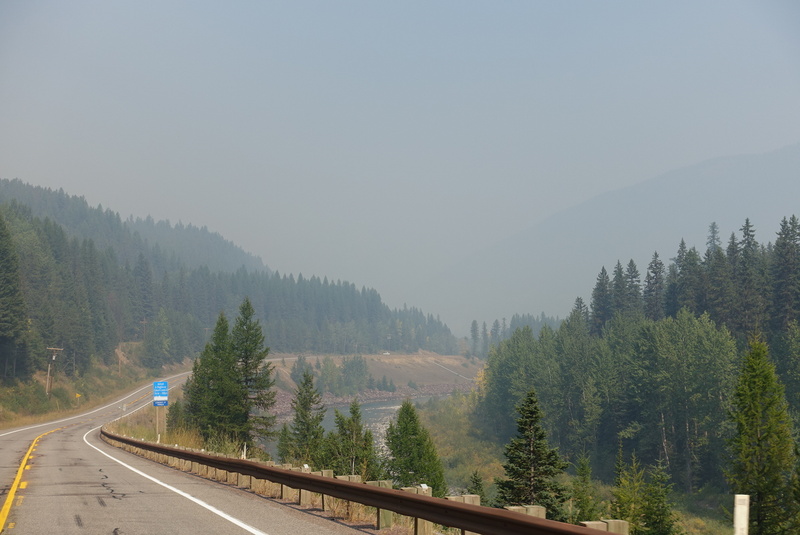 Unfortunately, the smoke and fires around Glacier National Park are really bad. Portions of the park were closed. Good luck! Well..I just had my right knee replaced. And it was sort of a surprise. I've been getting shots in that knee. But after a MRI. He said, Yea. you need a replacement.The surgery is nothing. The rehab is the difficult part .But it's what you put into it. If they offer joint replacement class before surgery. Take it. It will give you the info of what they do in the procedure, What to expect for healing time. As I stated. The rehabilitation..The exercises are what takes time. But be patient. Last edited by james216; Sep 9th, 2017 at 12:45 am. I hope you didn't book the Grand Targhee Resort as you will be in for a very rude surprise and a very long drive. 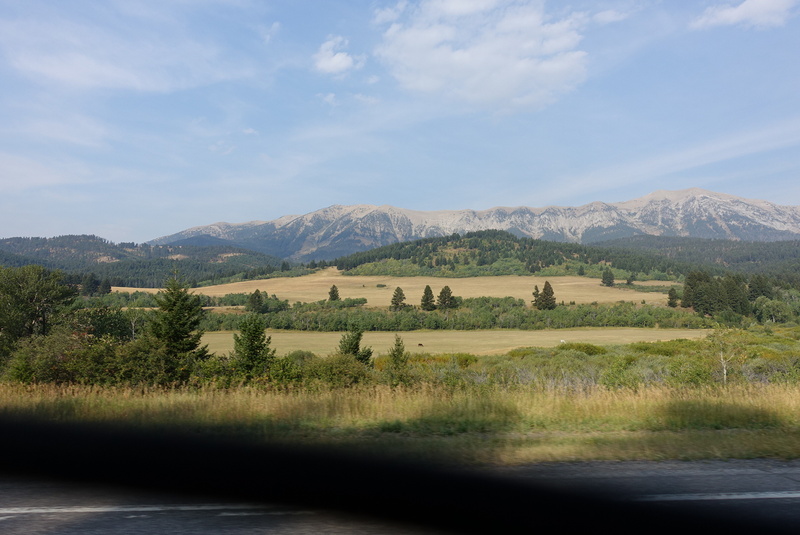 I almost booked this place this year but looked at the map and saw how it is located on the wrong side of the mountains for getting to/from Yellowstone. Those Cody hotels are very proud of what they have to offer. I thought the prices might be going down after Labor Day, I guess not. Although this is still Labor Day week. The prices must drop next week. Last year, we stayed in Cody in the middle of September and the prices were livable. This yehar, in August, the prices were ridiculous and finding availability was hard. We had to settle for the Super 8, but have a very nice place tonight. My experience is that dreaming precedes the doing. Yes, some never get past the dreaming stage, but I think both are important. I use our PA winters for dreaming and then planning and the summer and fall for doing. You should be able to ride again once the knee fully recovers, right? There is always the Spyderbif holding up a touring bike becomes an issue. 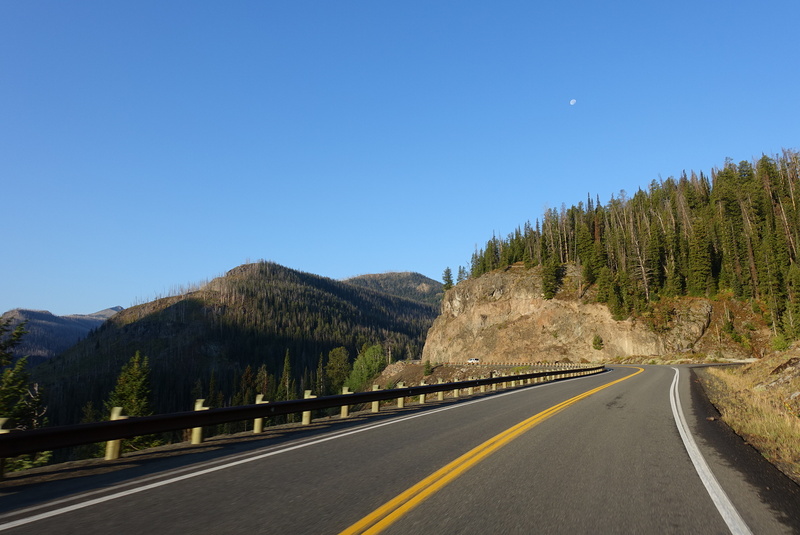 We decided to leave early to see if we could beat the rush into Yellowstone. 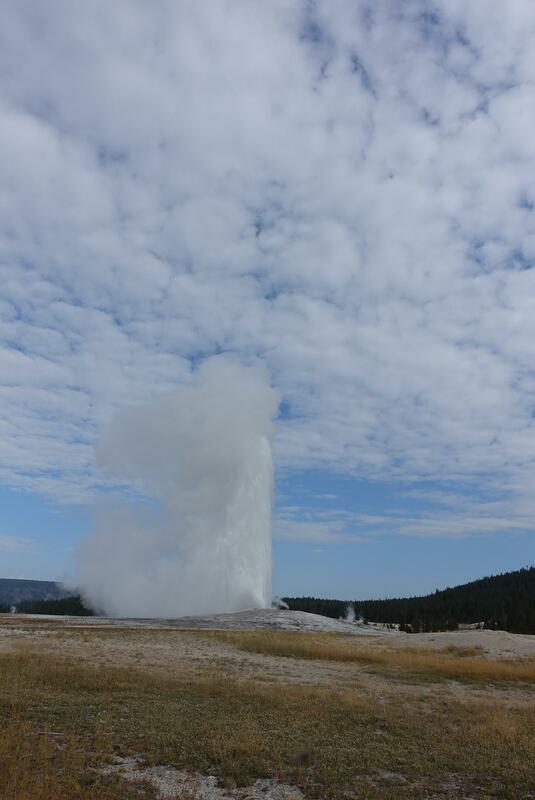 A 5:00 AM alarm got us on the road with a full tank of gas by 6:30 for the nearly 3 hour ride to Old Faithful. The ride to the east entrance was about an hour, but the geyser is deep into the park. It was 73 in Cody at 6 AM so we decided to wear just our mesh gear without our Frogg Toggs. Probably not the best idea in retrospect. The temp dropped rapidly as we ascended to the east gate reaching 51 there. That wasn't so bad, but when it hit 39 a few miles later I was considering stopping to add the outer layer. However, we toughed it out and got back into the 50s a short time later after crossing the 8,530' pass. There was no line at the gate and our annual pass got us through quickly. We passed a few slow cars on the way to Old Faithful, but got there at about 9:15 and parked in the second row. Nice. Saw our first eruption at 9:50 and then toured the lodge while waiting for the second eruption which occurred at 11:25. 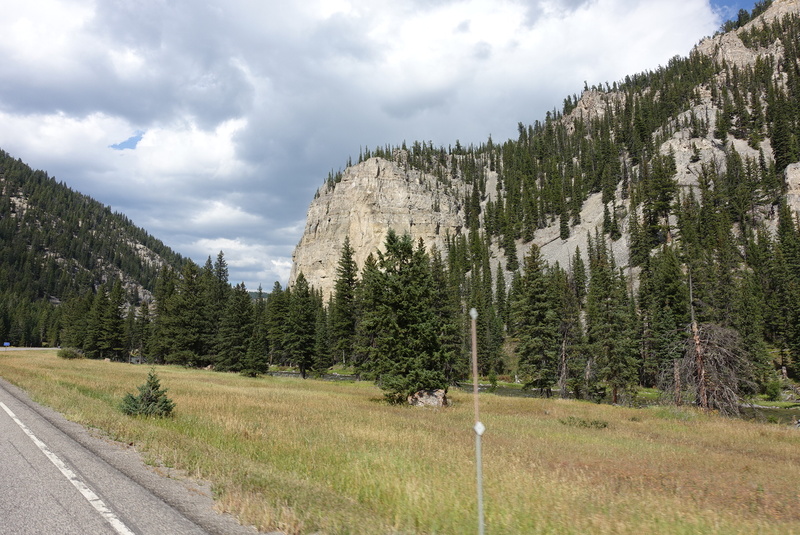 We had a nice lunch at the Inn and then headed for the west entrance to join route 191 towards Big Sky. 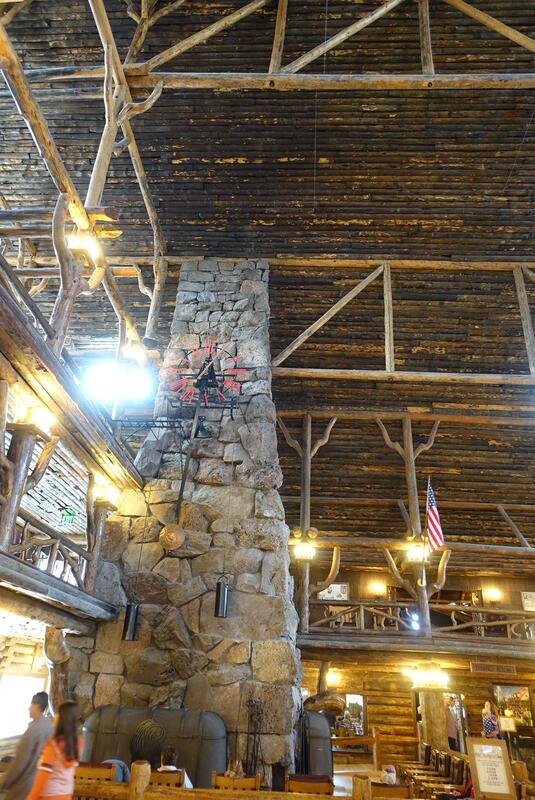 We are staying at one of the ski resort hotels as availability of lodging within 60 miles of Yellowstone is tight. The Summit at Big Sky is a little pricey, but it is very nice and the ride up to it was very fun. And they gave us complimentary lift tickets. 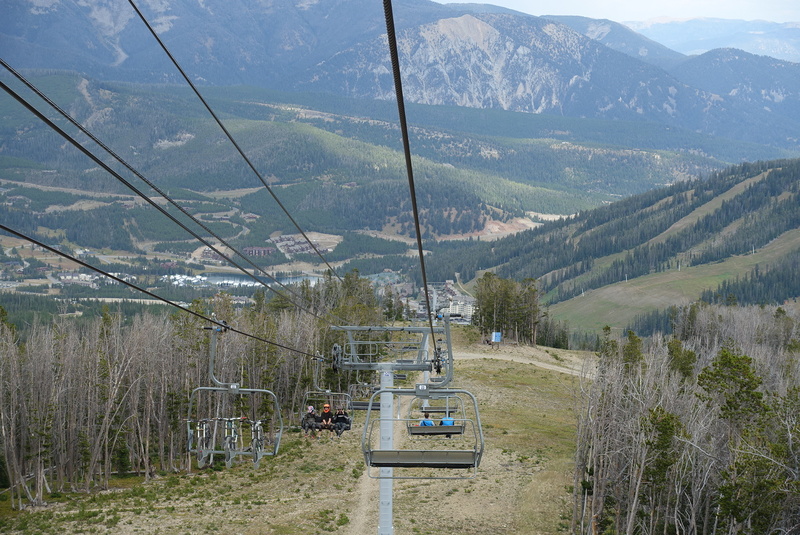 We had time to ride both lifts since we arrived quite early as we got through Yellowstone much faster than anticipated. Traffic on the way out was fairly heavy, but was moving fairly well and I was able to pass the few slow campers with Ohio plates that are unable to read the signs that tell them to use the pull-outs. Another great day with good weather, mostly in the 70s and just a couple light showers as we rode 191 north. 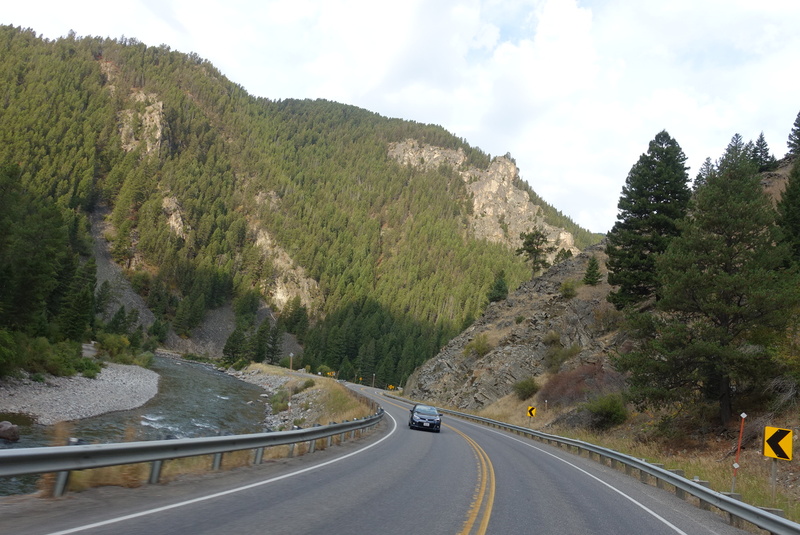 191 hasn't the best pavement quality, but the scenery was fantastic through the big valley. mtrevelino, bmwcoolk1200 and Chad Albrecht like this. Last edited by Voyager; Sep 9th, 2017 at 7:05 pm. Yellowstone is one of my favorite places. There is such amazing diversity in such a small area of land. Glad the trip is going so well. Thanks for the reports. My wife liked it, but I was underwhelmed. 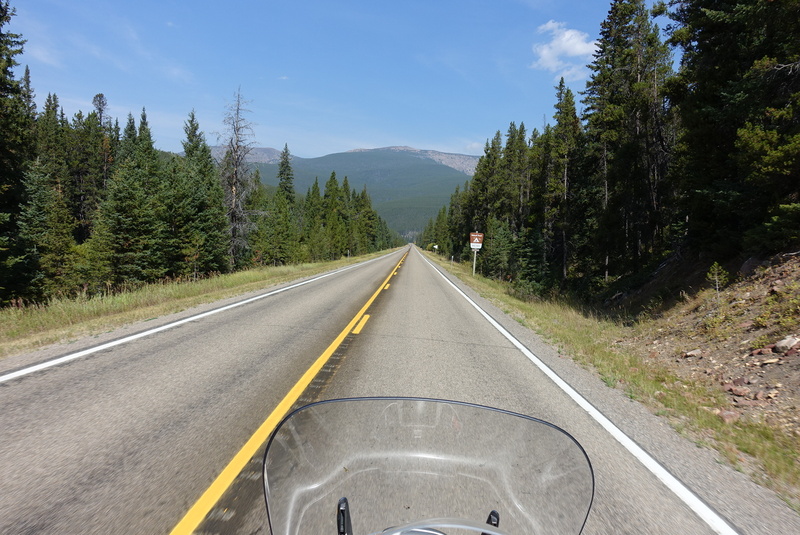 We didn't see the entire park by any stretch, but what I saw riding from the east entrance to Old Faithful to the west entrance is surpassed by most of Colorado and much of South Dakota, Utah and Alaska. And the Alps surpass them all. However, I have checked the Yellowstone box now. 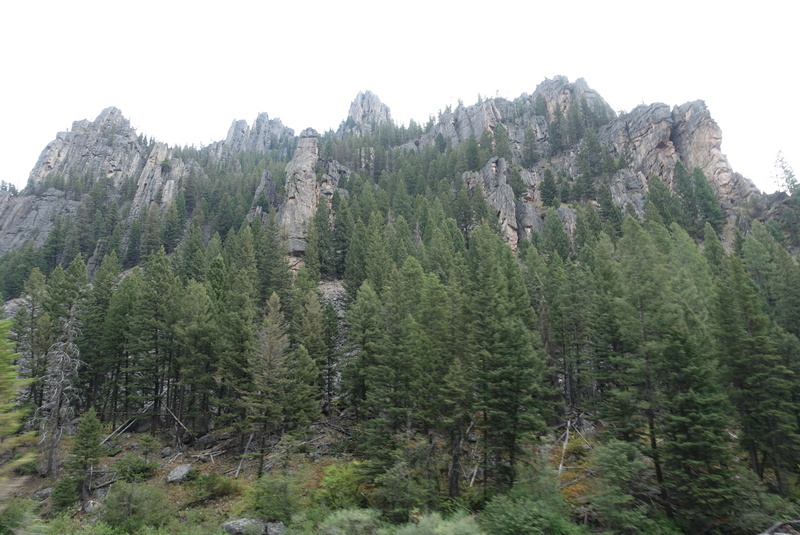 I was more impressed with the Grand Tetons and Estes Park than Yellowstone when I rode through those in '13. 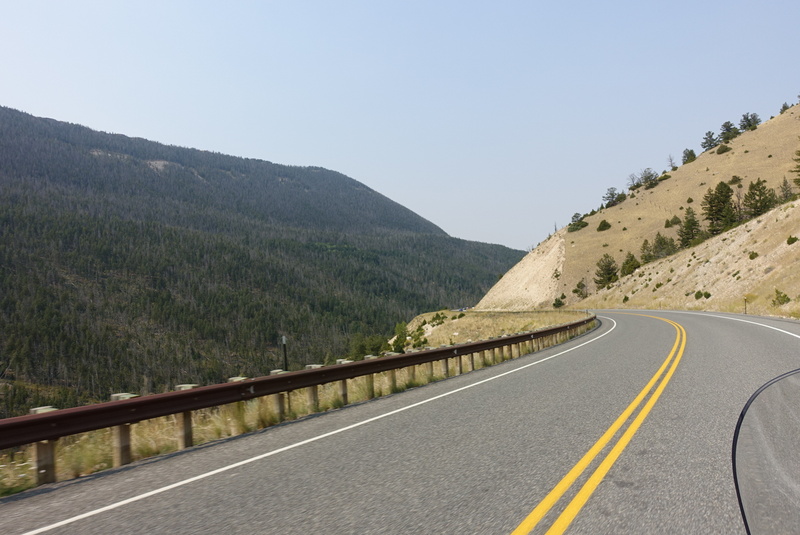 Hated the slurry tar that Wyoming slopped on their highway on one of the roads from Estes Park to Jackson Hole. 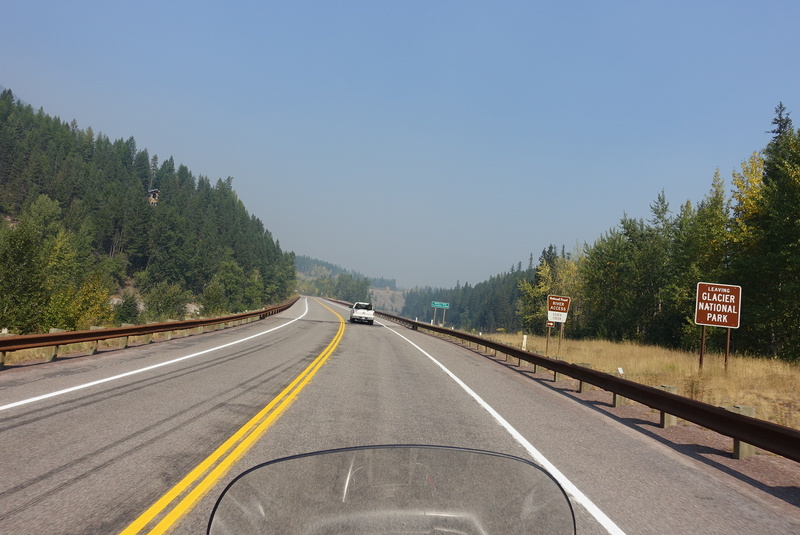 Today was a light day of riding, but no sightseeing other than on the ride itself - which was pretty good, albeit rather smokey in places from the fires to the west. The main objective was to get to Great Falls to watch the Steelers game with a high school classmate. Unfortunately, he got the times wrong so we got here as the game was ending. So, we met over supper instead. It was good to catch up a little after 40 years. The smoke is fairly intense here in Great Falls this evening and the smell strong at times. I found that the Going to the Sun road is mostly closed in GNP, so we are contemplating our route for tomorrow. 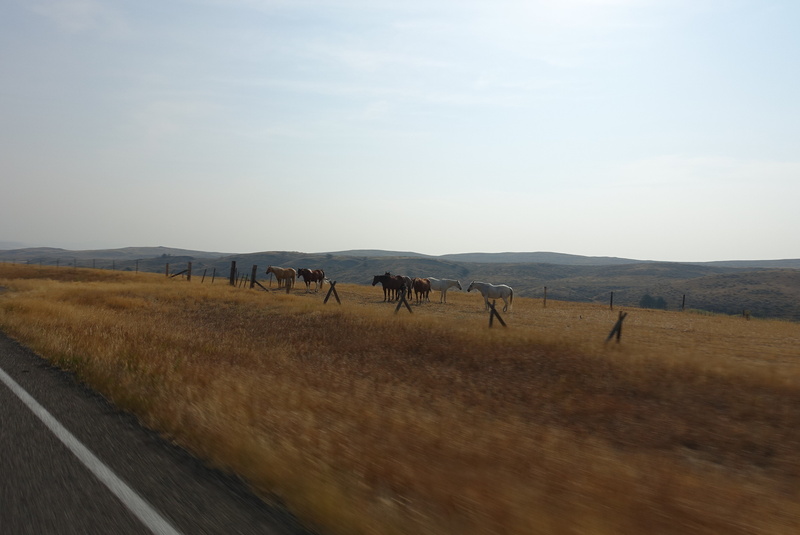 Do we ride half the road and backtrack or just go through on route 2 and leave the Going to the Sun on the bucket list? These are truly blessed problems to have! 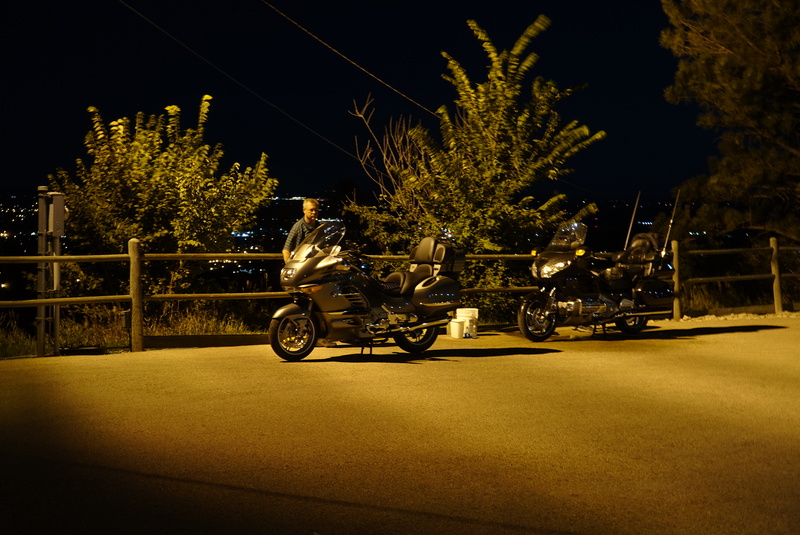 So, no more words, just a few pictures from the ride up 191, 86, 89 and 87.
bmwcoolk1200 and Chad Albrecht like this. Last edited by Voyager; Sep 10th, 2017 at 9:19 pm. 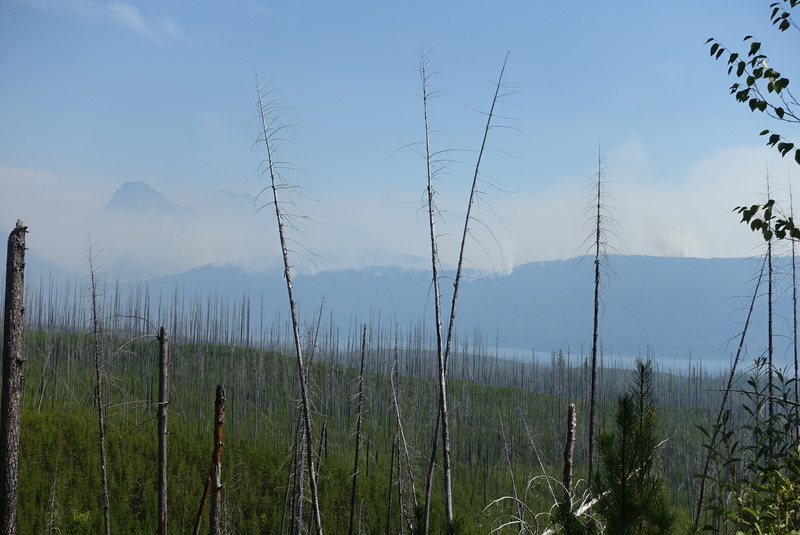 Well, Glacier National Park was a bust due to the fires. We did enter from the west and rode the North Fork loop which in hindsight wasn't the best idea. 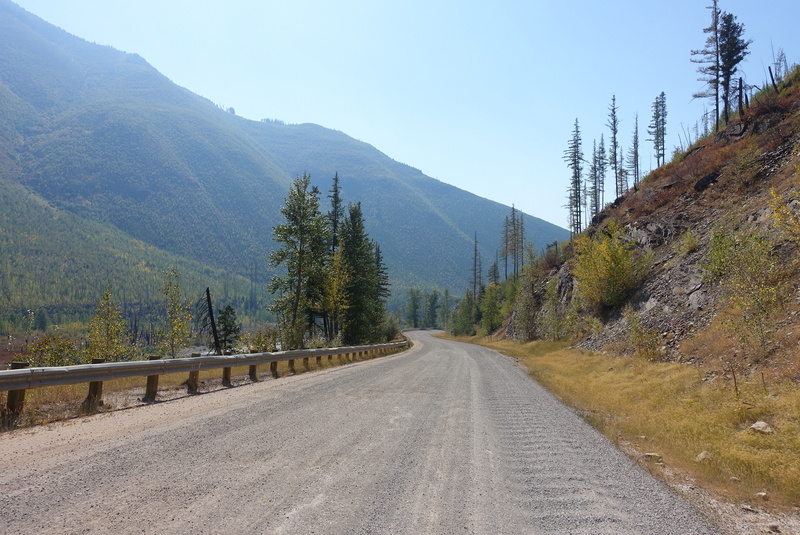 The first 12 miles or so was paved (Camas road) and we got a glimpse of the fires, but the return part of the loop (North Fork road) was a winding 22 miles of which 10 was washboard gravel much worse then anything I saw in the 480 miles of the Dalton highway! 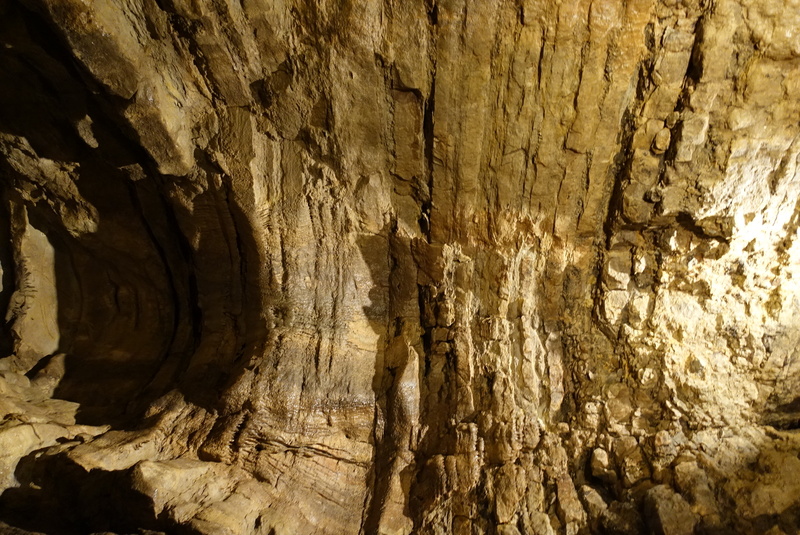 It took an hour in first gear to traverse that section and I may need some fillings replaced. The morning ride up 89 was VERY windy, mostly direct crosswinds. 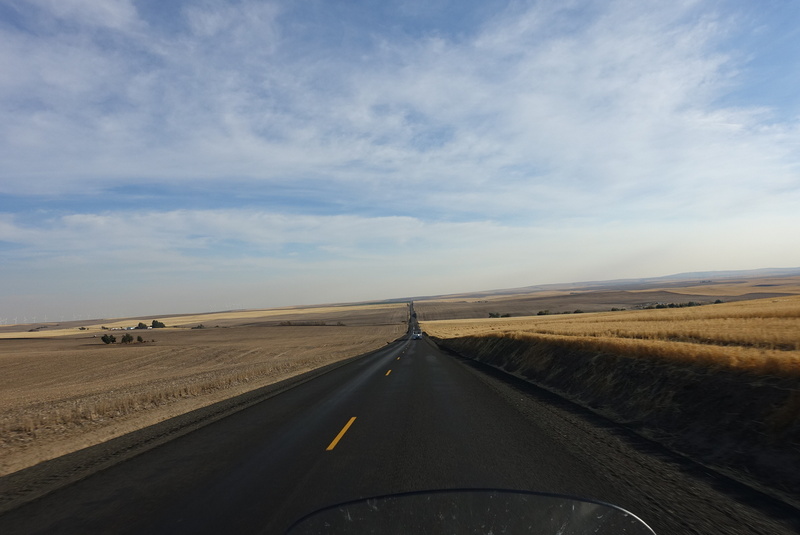 I swear I rode 50 miles leaning 15-20 degrees to the west. Montana very thoughtfully provides occasional signs that warn of crosswinds and have wind socks on top that are plank straight facing east just in case you somehow didn't notice the 30+ mph gusting winds. Route 2 across the southern edge of Glacier was a nice ride other than the now 30 mph gusting headwinds. 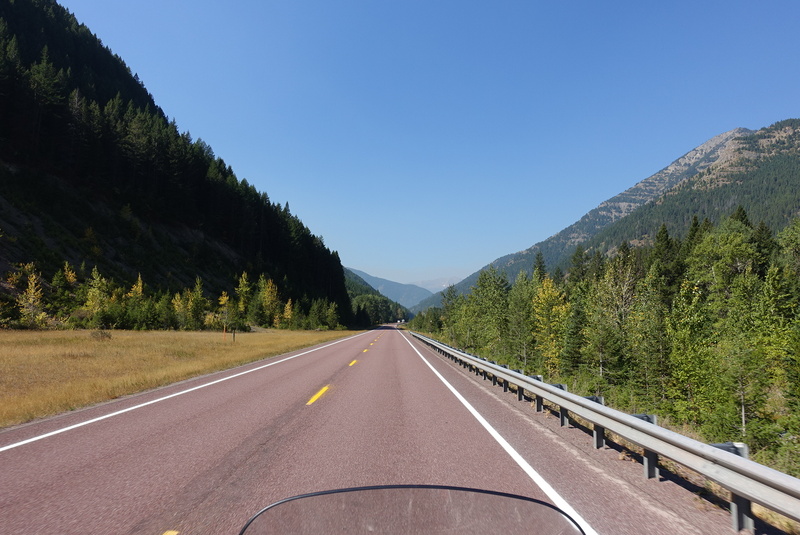 I don't think it holds a candle to the Riding to the Sun road though from what I've read. Alas, one item to continue on the bucket list for another time. 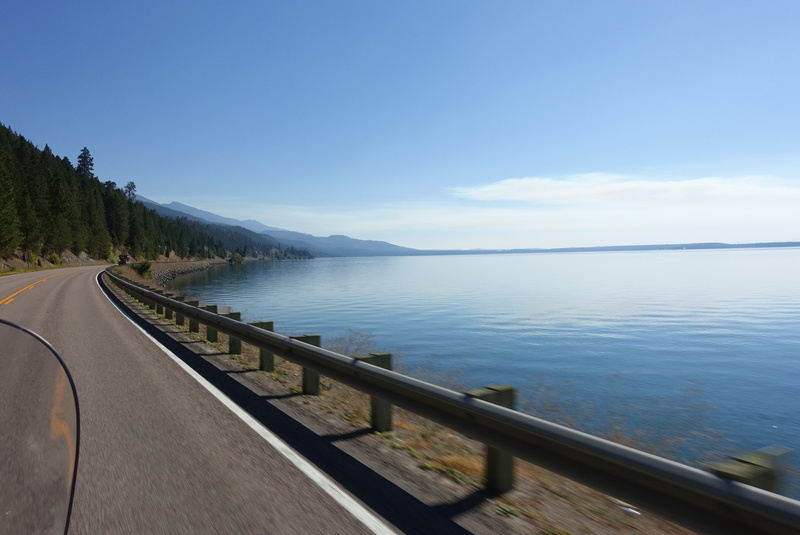 We finished the day with a warm ride along Flathead Lake as temps rose into the 80s. I need to start acclimating as in another week the low temps will be that high and the highs may approach 100 near Death Valley and Vegas. I am a cold weather creature so I am not looking forward to that part of the journey. mtrevelino and Chad Albrecht like this. Last edited by Voyager; Sep 11th, 2017 at 7:20 pm. I could not force myself to down select to the 10 attachment limit so here is the eleventh picture from the back of our hotel that I thought was cool. JNW003 and Chad Albrecht like this. Great write ups. In your last post, picture 9 of 10 is a speed limit sign that says 70. What type of road is that? Is this the gravel road you were traveling 10 mph on? 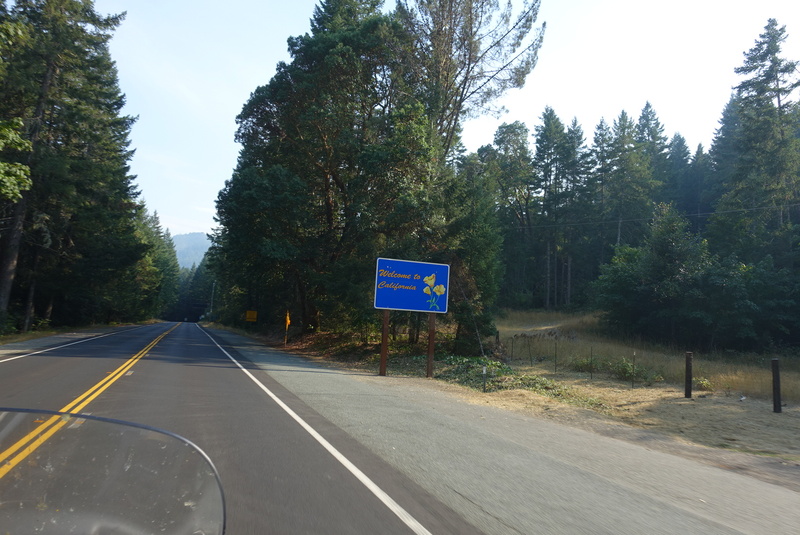 It was at the end of the gravel and the start of tar and stone or chip seal as my home state DOT prefers. I went 50 on it, but no way I would ride 70 on that road. 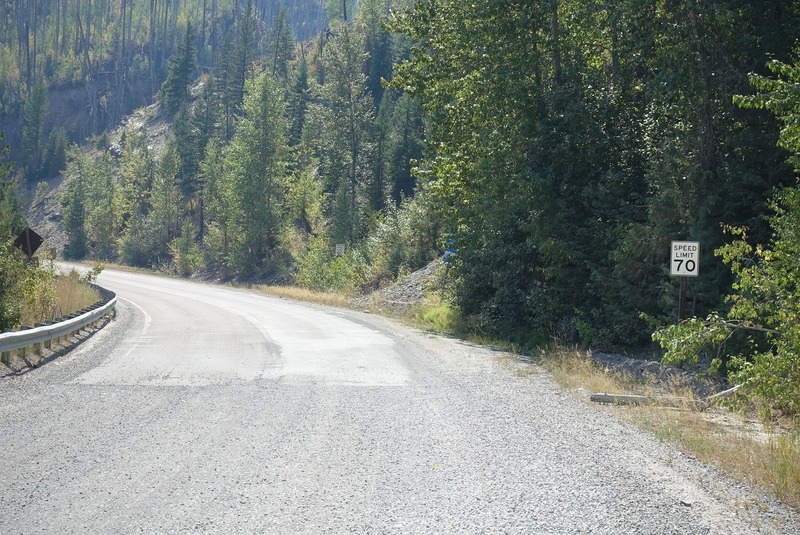 The gravel part was posted 35 and we were passed several trucks going all of that. I could have done 35 on a GS, but that washboard would have shook the fairings off my LT at 35. From what I saw, you came through the east - I am sure the mountains were nice before the park. 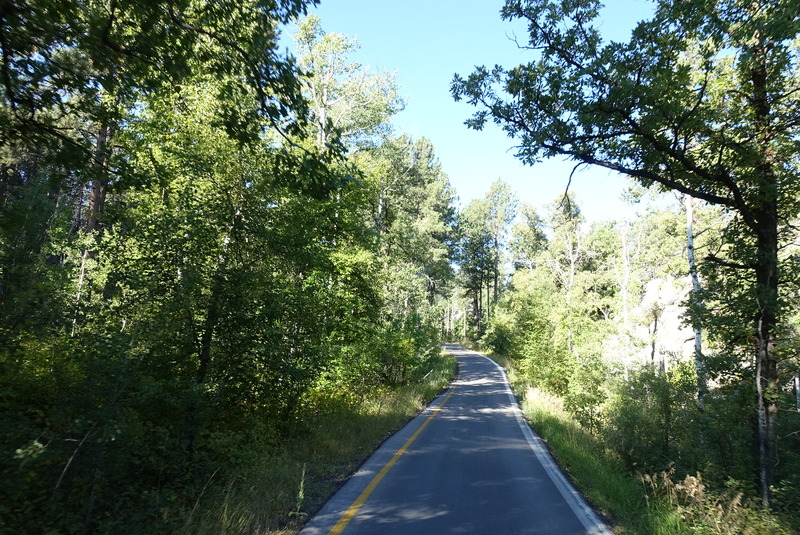 Then, you go into the most boring entrance of the park with a long ride around the lake. Then, you went to Old Faithful - definitely not my highlight. Did you walk on the paths to see the other thermals? 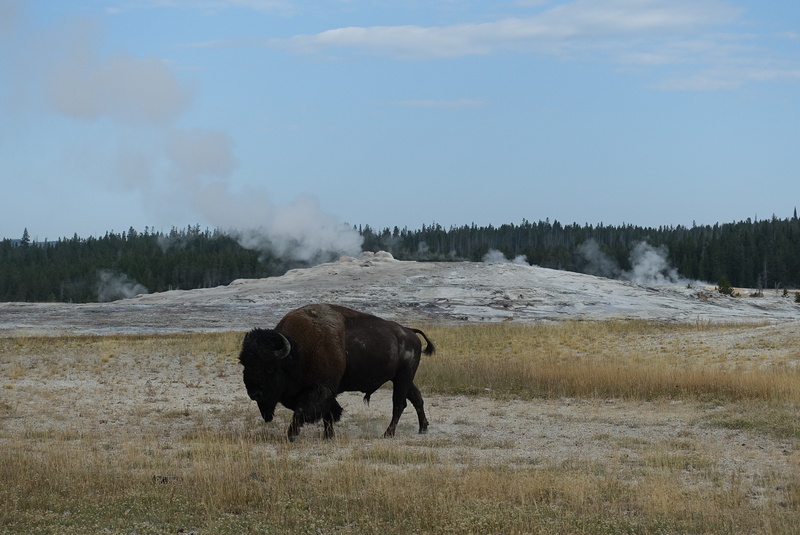 Looked like you stayed at Old Faithful for a second blast - yep, probably a waste of time for a second viewing. There are 5-7 other great things to see in the time lost waiting for the next Old Faithful eruption. You missed some really incredible things to see in nature. It's not really about the mountains but other things. I understand, you were in a hurry to get through the park. It takes a couple of full days to see everything and get a perspective of the true diversity of the area. Glad you are doing well on the trip. I had the family in the car and had left the bike at home. I would love to take the trip on the bike. 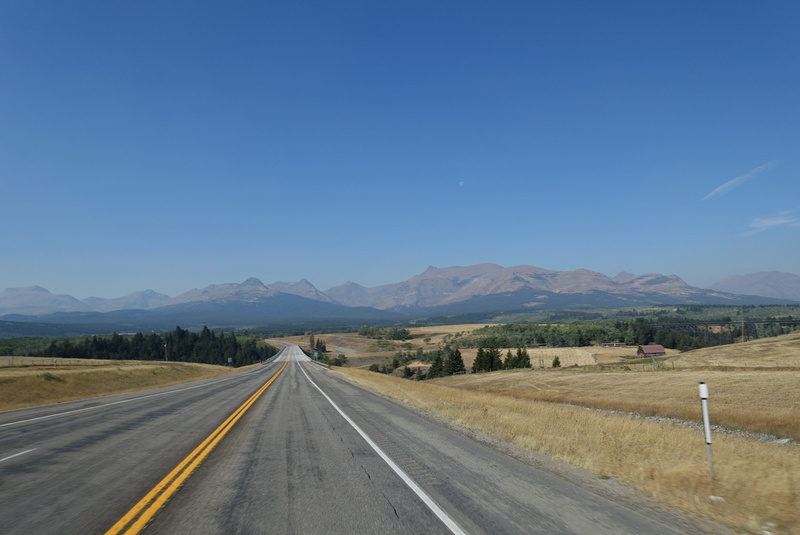 If you were underwhelmed at Yellowstone, Glacier may be a difficult time for you too, especially if the smoke covers up the mountains and decreases the views. Eat a huckleberry pie for me and maybe a huckleberry shake too. Looked like you stayed at Old Faithful for a second blast - yep, probably a waste of time for a second viewing. There are 5-7 other great things to see in the time lost waiting for the next Old Faithful eruption. You missed some really incredible things to see in nature. It's not really about the mountains but other things. I understand, you were in a hurry to get through the opark. It takes a couple of full days to see everything and get a perspective of the true diversity of the area. Yes, it definitely depends on your tastes. I am not a hiker or bird watcher. And I can do those from a car. For me, riding is about the roads and the scenery and the lack of civilization. The Alps hit my sweet spot dead center. 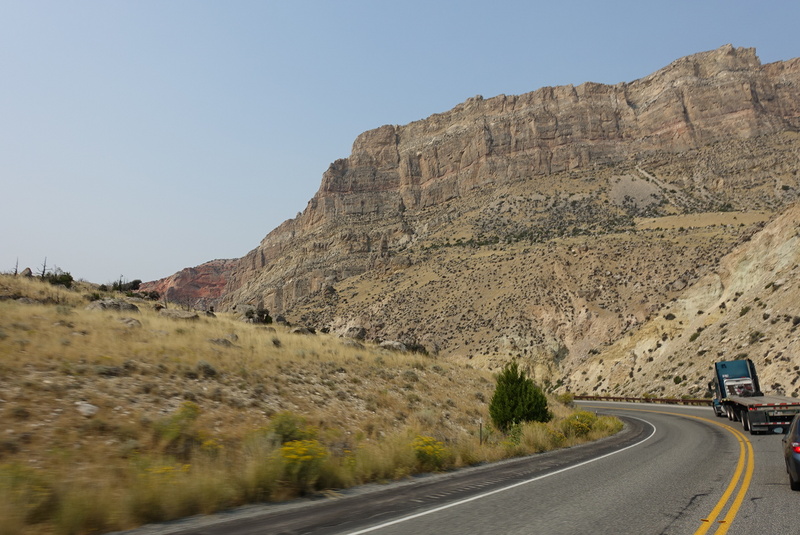 Colorado and southern Utah are great also. Yellowstone was way down my scale. Glacier was awesome from what little I could see. 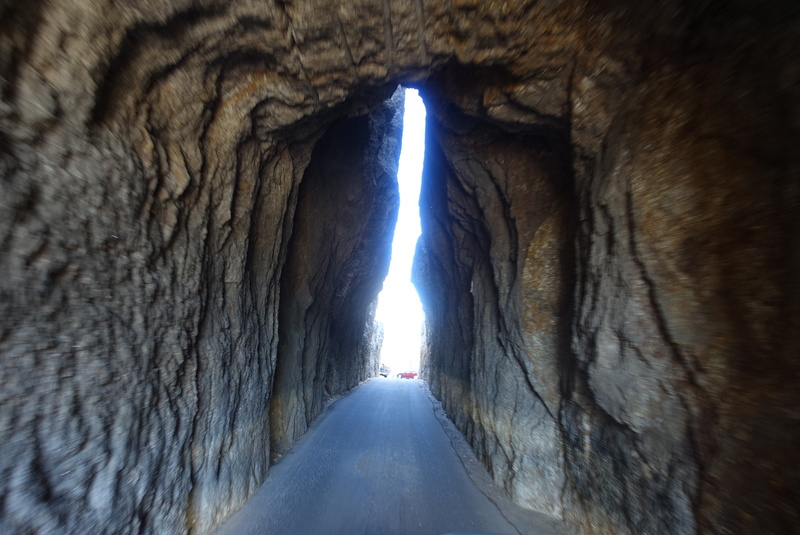 I think the Going to the Sun road would definitely hit my sweet spot, but that is for another time. I know what you mean. I have seen some incredible mountains in the world. 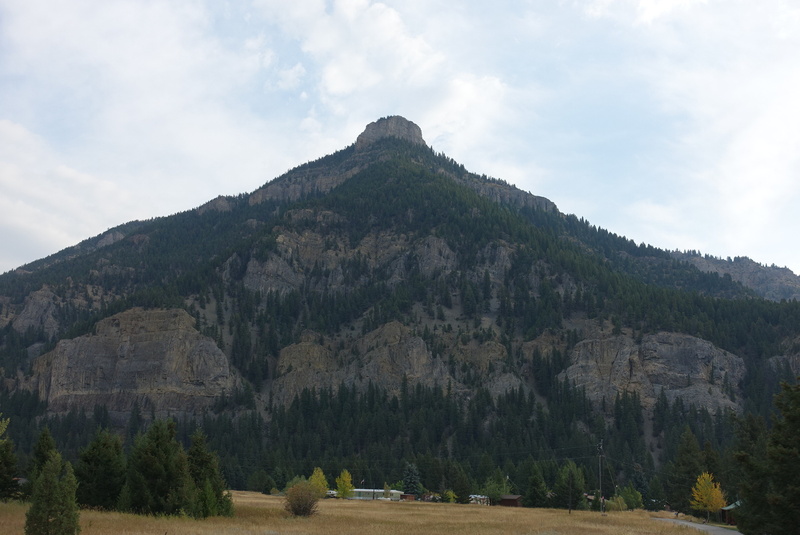 Yellowstone is not home to the best mountain views. Hope you get some good plans worked out and I am enjoying each day's post. Thank you very much! 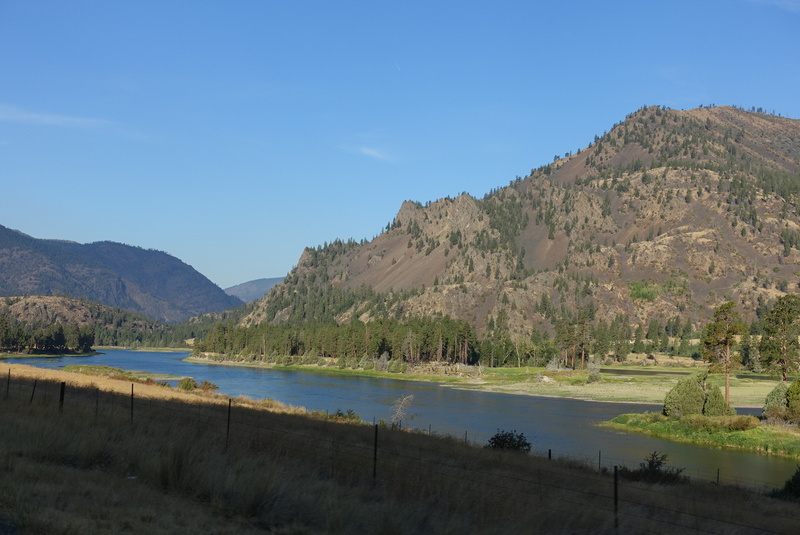 Today was mainly about covering a lot of ground through areas where we really didn't have much we wanted to see or hadn't seen before during a prior tour of Washington and Oregon. 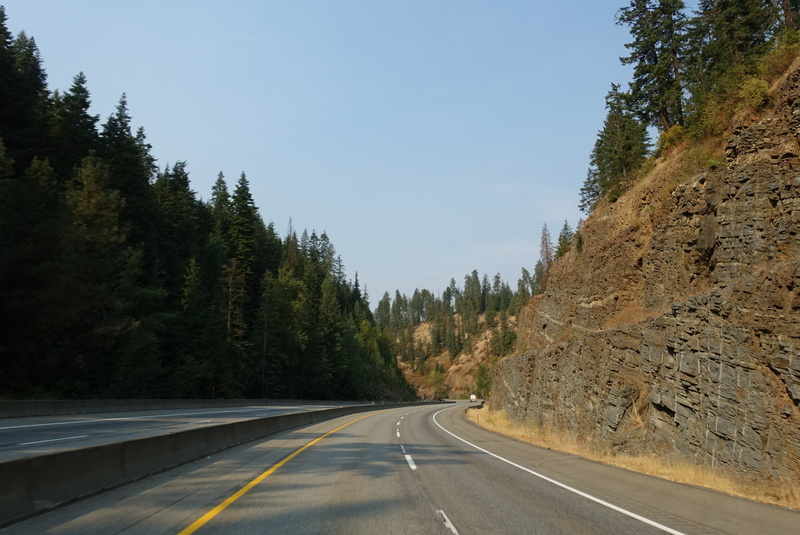 We had a great ride on Montana routes 200 and 135 and even I90 to Coeur d'Alene was quite nice. It was a chilly start at 44 degrees, but we saw 99 before the day was over. 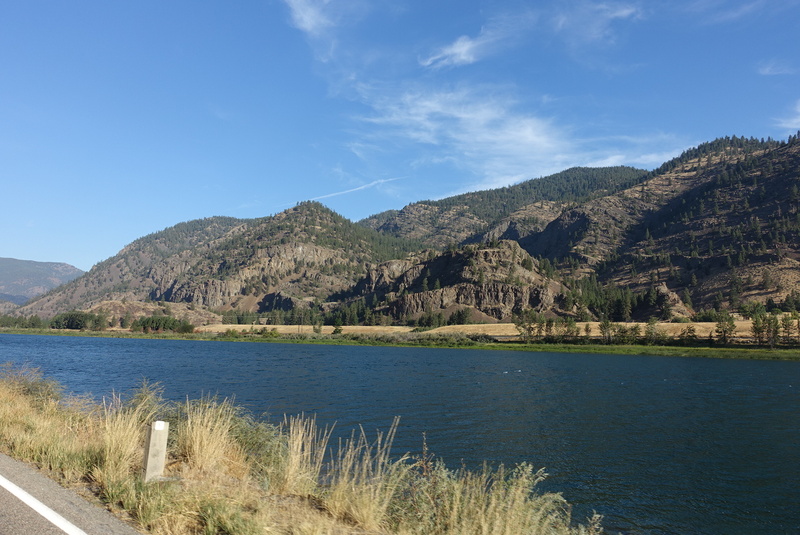 After a coffee break in Coeur d'Alene, we made tracks down I90 to Ritzville where we picked up 395 to Kennewick to I82 and then I84 to Rufus where I made my blunder of the day. My GPS showed a Sinclair station on the left slightly out of the way and a Shell station a half mile down Scott Canyon road on our way to route 97. Well, the Shell station was out of business. 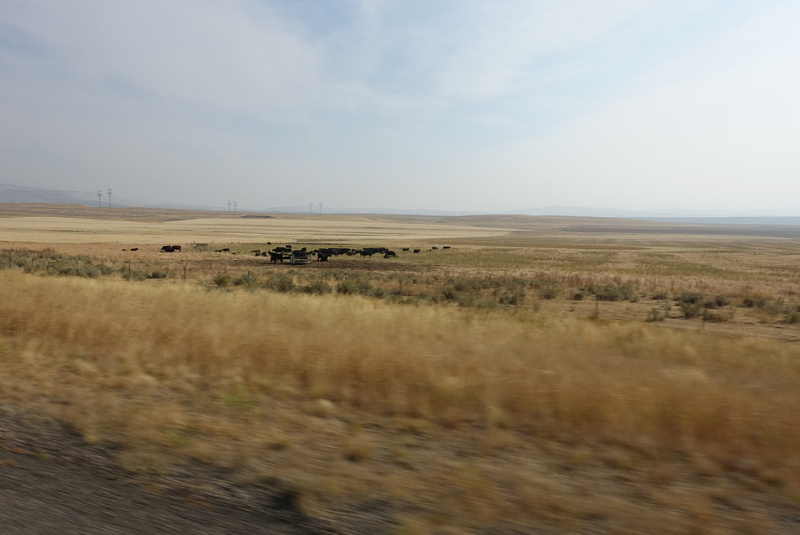 I nearly turned around and went back to the Sinclair station, but our hotel in Madras, OR was only 94 miles away and I was showing nearly 80 miles to empty (1/3 of a tank left). 97 looked like a significant road and I figured there had to be a gas station within 80 miles. Wrong! 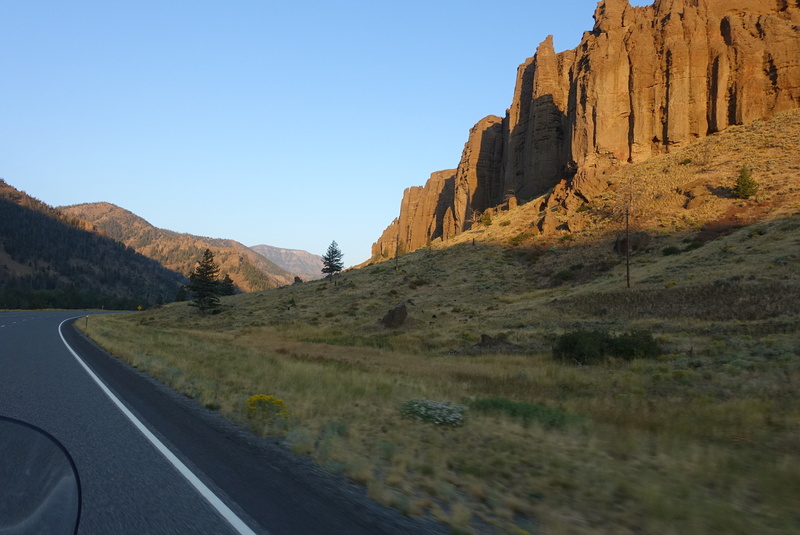 97 runs from Biggs Junction to Madras, a distance of 93 miles without a single gas station! Who would have thought Oregon was a third world country in regards to gasoline availability? 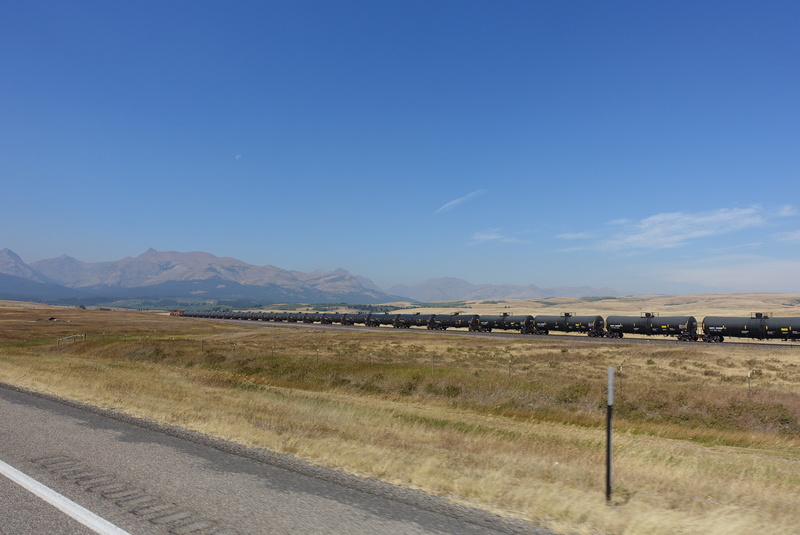 About 60 miles from Madras, when I was showing about 48 miles to empty, I saw a semi at a commercial fueling station. I pulled in and the place had a gas pump, but it required a fleet card. The trucker said his card was restricted to diesel so he couldn't help us. I told him I was sure I could not reach Madras when he said that was the next available gas. He said he would watch for us, but he did way more than that. I rode at 50 mph to maximize my range and he followed us at that speed for 48 miles until I ran dry on a hill 12 miles north of Madras. He then stopped and gave us a ride to our hotel. I tried hard to pay him for his inconvenience, but he adamantly refused. Lee the trucker from California has my deepest gratitude. I could not find any service station in Madras who would run me back to the bike with gas. It was getting dark and I didn't want to leave the LT by the road all night. Fortunately, the off duty hotel manager happened by as I was talking with the desk lady. He offered to drive me back. I then went to a nearby gas station to buy a gas can and gas, but they didn't sell gas cans! However, the lady said she would loan me one. Unfortunately, She found that the prior user had pushed the spout into the jug and we could not get it out. And the cap would not seal without it. So, she got a plastic bag and I used that with the screw on collar to seal the jug. I also bought a funnel to use sans the spout. By 9:00 I and the LT were safe at the hotel and my wife was able to start calming down. Hopefully, she doesn't divorce me when this trip is over! I tried to pay the Quality Inn hotel manager, whose name now escapes me, but he refused to take even $20 for his trouble. So, I left $20 and the funnel I bought with the service station lady and asked her to buy a jug for the next person who needs it. Last edited by Voyager; Sep 13th, 2017 at 12:26 am. Most people are nice. It seems many people want to be helpful but have been scared into not helping others. Glad you found some nice people willing to give some help. You cranked up some miles yesterday. Fun! This is my first time and hopefully last time. I am generally pretty conservative and I have a current database in my Nav V. It showed at least two stations along 97 but both were seemingly out of business. The hotel owner said some stations operate only during the summer and close after a Labor Day. Never heard of that before. In PA every town with a population above 100 has a gas station. We went through one sizable town, bigger than my hometown which has a population of 500 and four gas stations, that had a huge high school football stadium, but no gas station. I was amazed. Now that I know Oregon is a third world state I can plan accordingly. I am now in California which had a gas station on every corner as God intended! Today was a tale of two rides. 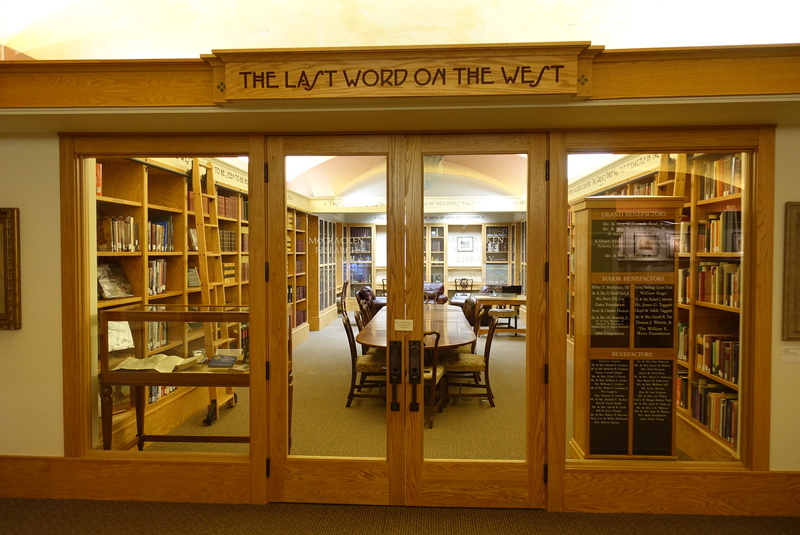 The first was from Madras, OR to the California border. 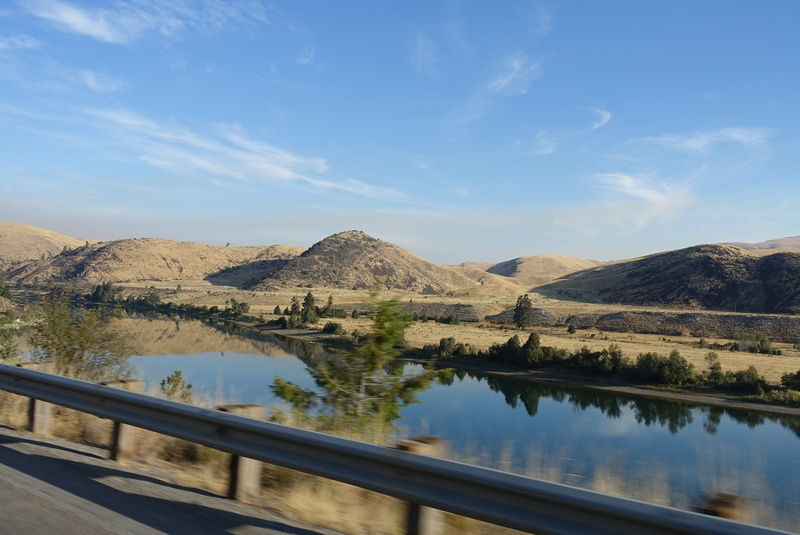 The second was the 50 or so miles in California. Ride 1 was pleasant enough at first, albeit rather unremarkable. 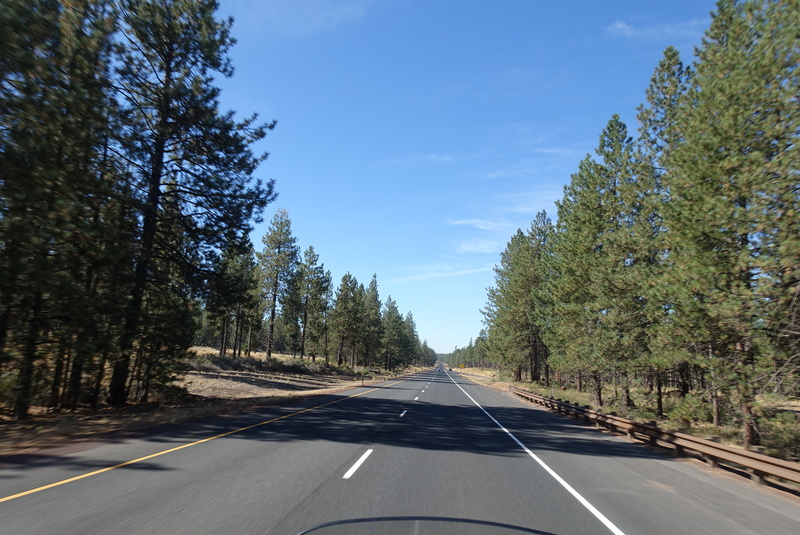 It then became increasingly hot and smokey as we circumnavigated Crater Lake and then continued on to route 199. 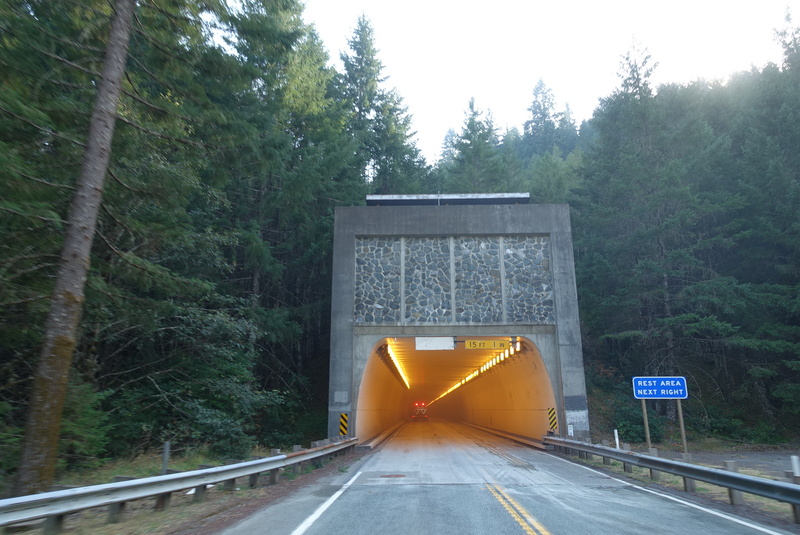 The north entrance to Crater was closed due to fire and the south due to construction (open only on weekends). 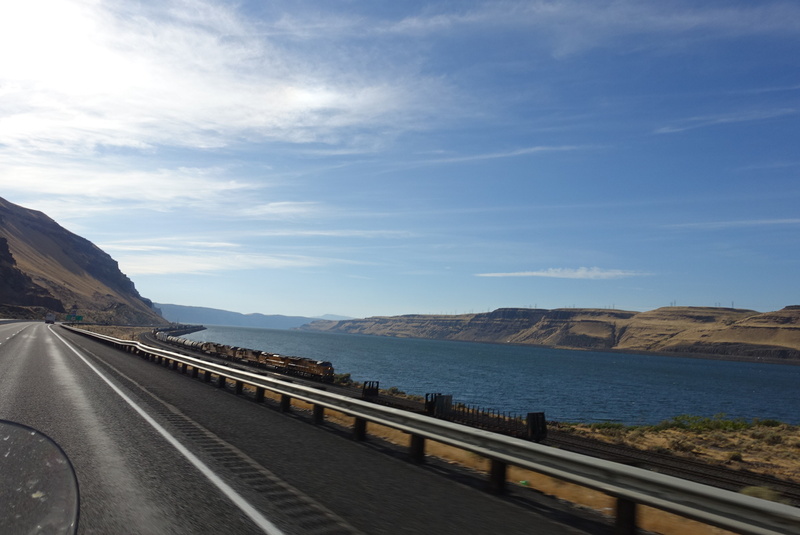 I admit I was very glad to see Oregon in the rear view mirror. Ride 2 was fantastic. 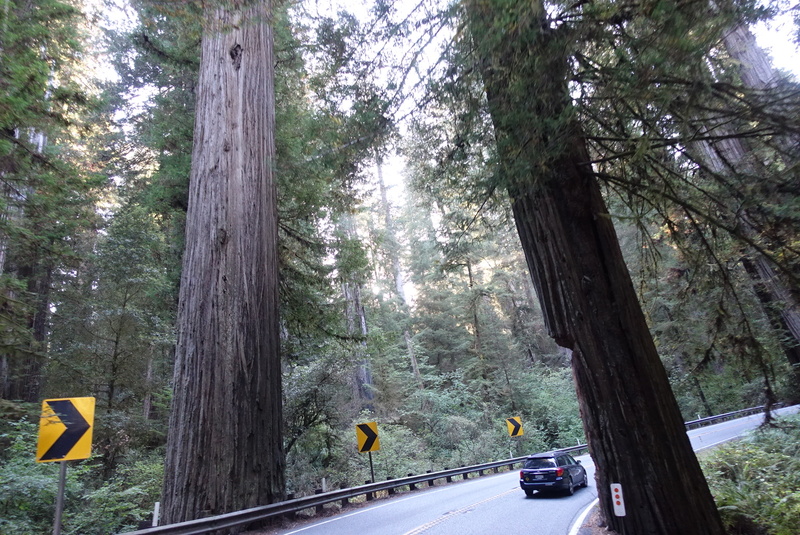 Almost the instant we crossed the border the pavement got better, the road more curvy, the temperature cooled from upper 80s to 70s and then the redwoods appeared. 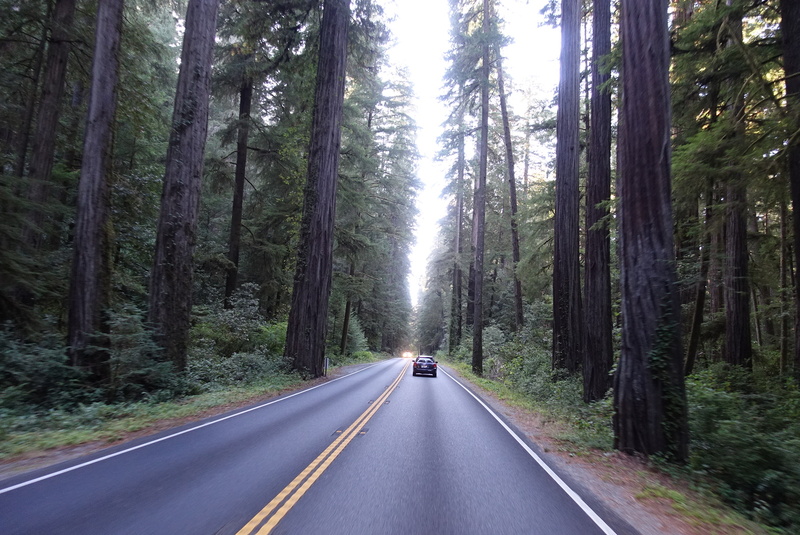 Just amazing riding down California 199. What a great way to end the day. In addition, before departing this morning we had a nice breakfast discussion with a couple from Switzerland touring on their GS bikes. They bought them in the US and a dealer stores them so they can use them once a year for a tour. They were nearing the end of four weeks of riding and heading back to San Francisco to fly home. 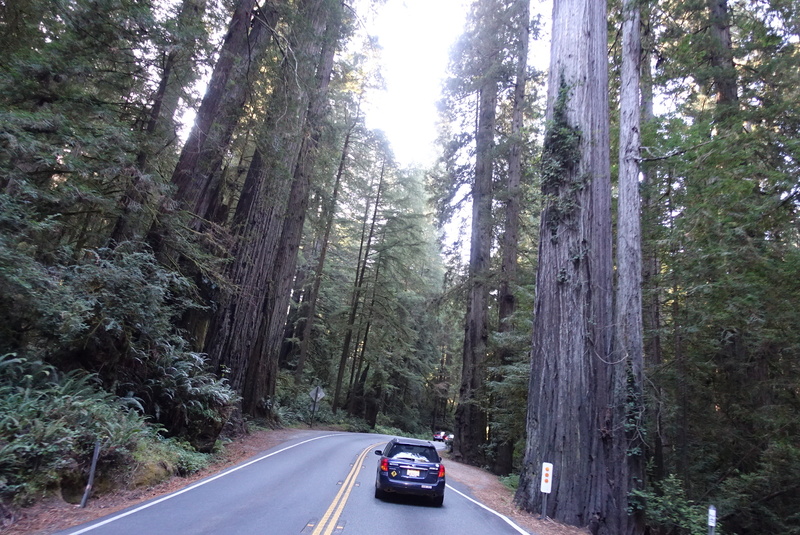 As an aside, we rode some interesting pavement coming down 199 in California. It appears to not be asphalt, but is a dark gray and very smooth looking almost like sandpaper. And the smell of it was something akin to model airplane cement. Anyone know what this stuff is? It was fantastic to ride on. Last edited by Voyager; Sep 13th, 2017 at 11:19 pm.